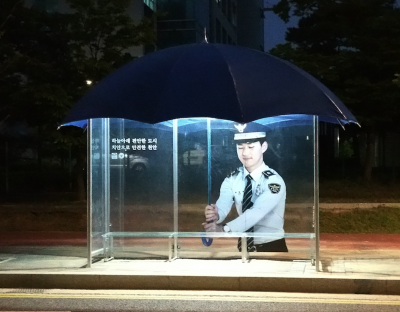 ▲ 10일 오전 10시(현지시간) 폴란드 카토비체에서 열린 제24차 유엔 기후변화협약 당사국총회에 얼굴과 옷, 수염에 잔뜩 검은 때가 묻은 산타가 찾아와 미세먼지 문제를 국제사회에 알리는 일인시위를 벌였다. 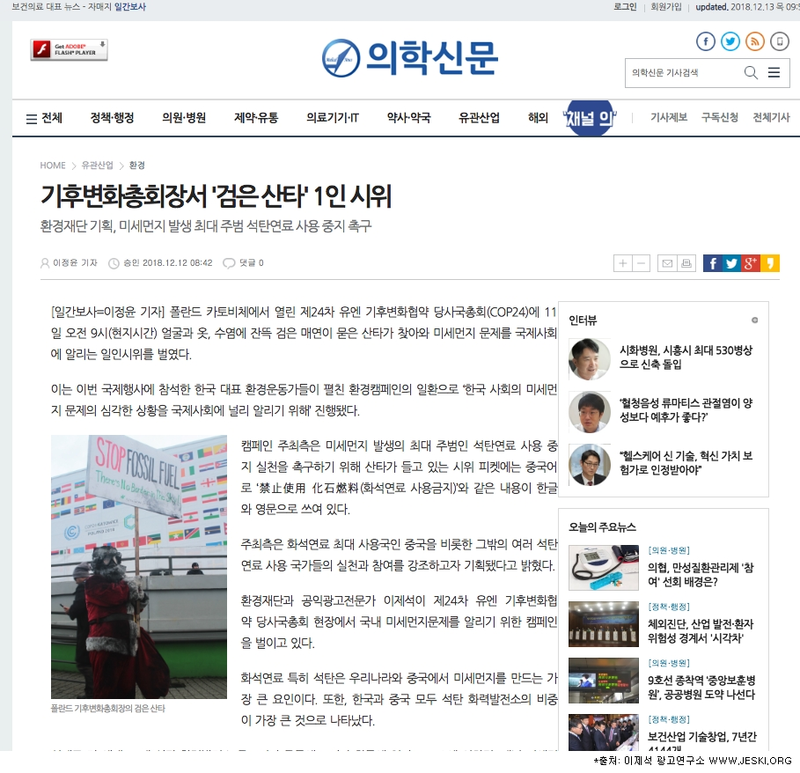 이는 이번 국제행사에 참석한 한국 대표 환경운동가들 (환경재단 이사장 최열과 공익광고 전문가 이제석등…) 펼친 환경캠페인의 일환으로 “한국 사회의 미세먼지 문제의 심각한 상황을 국제사회에 널리 알리기 위해” 진행되었다. 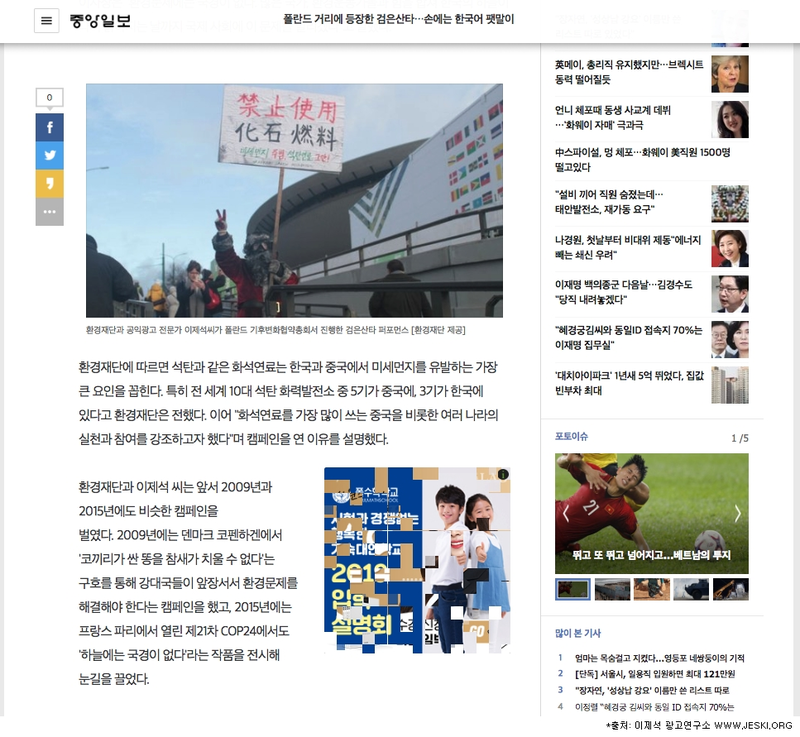 화석연료 최대 사용국인 중국을 비롯한 그밖의 여러 석탄연료 사용 국가들의 실천과 참여를 강조하고자 기획됐다고 밝혔다. 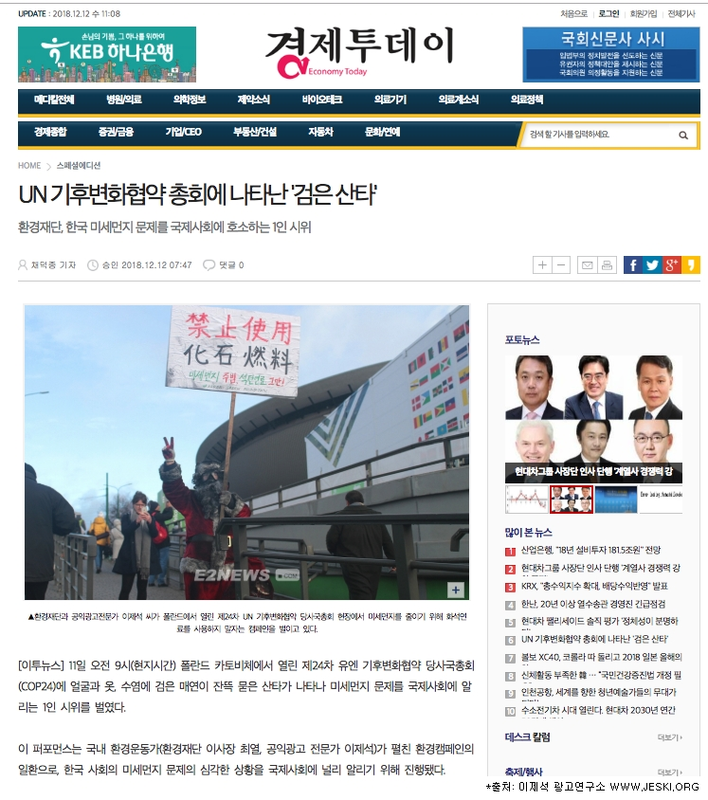 화석연료 특히 석탄은 우리나라와 중국에서 미세먼지를 만드는 가장 큰 요인이다. 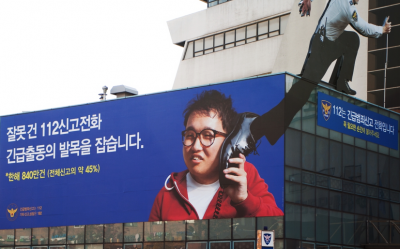 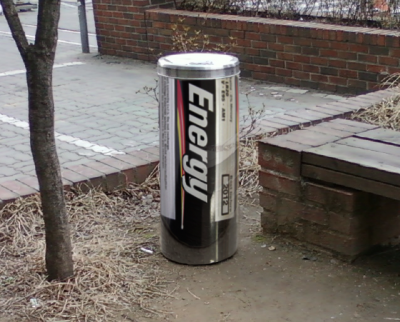 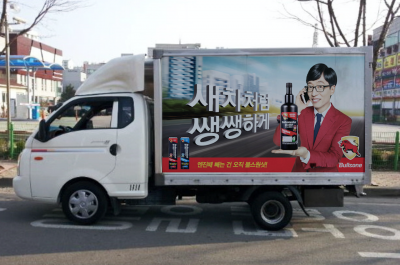 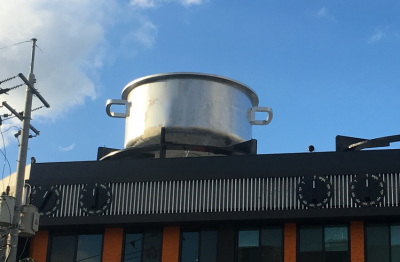 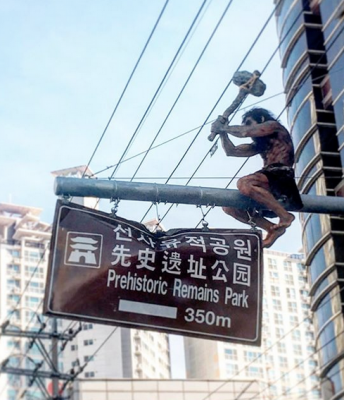 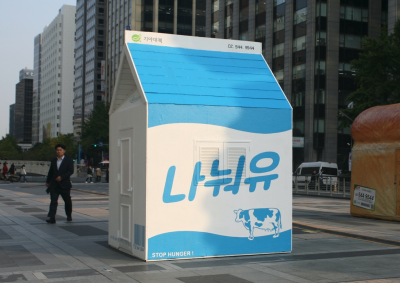 또한, 한국과 중국 모두 석탄 화력발전소의 비중이 가장 큰 것으로 나타났다. 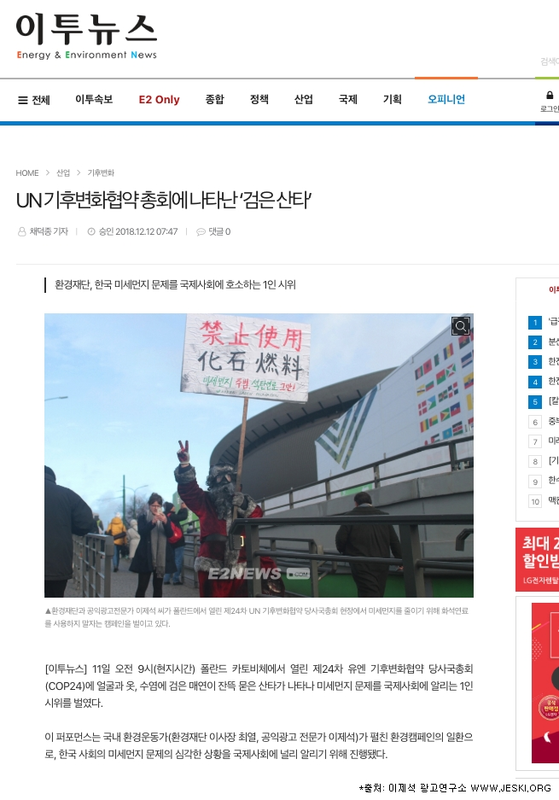 실제로 전 세계10대 석탄 화력발전소 중 5기가 중국에, 3기가 한국에 있다. 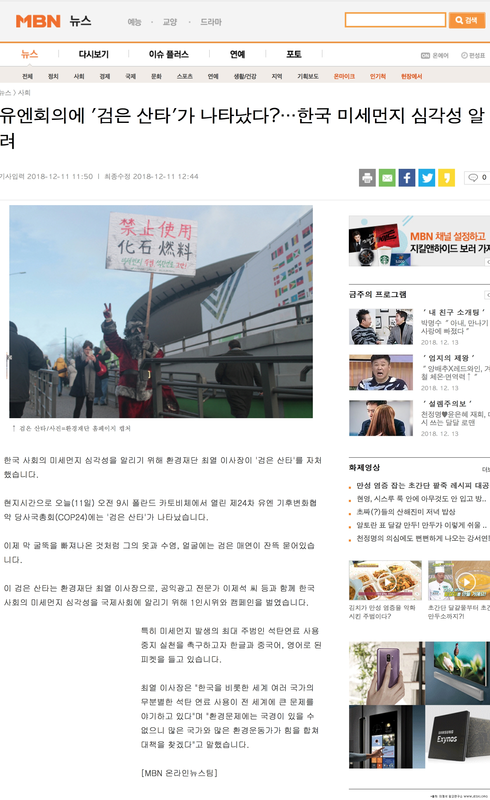 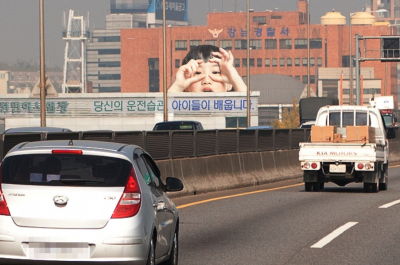 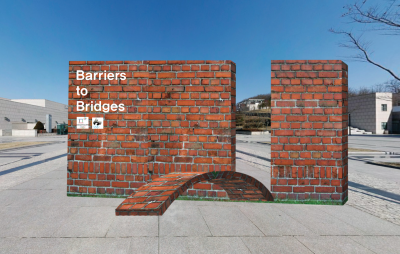 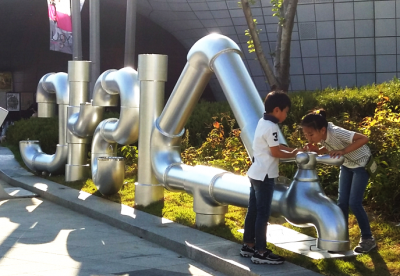 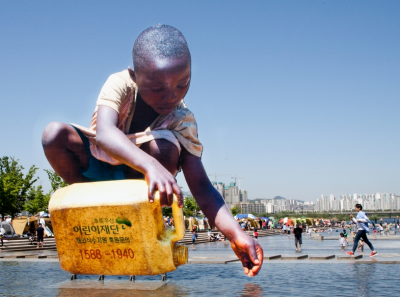 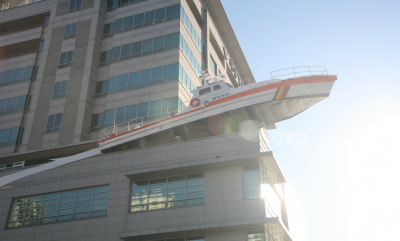 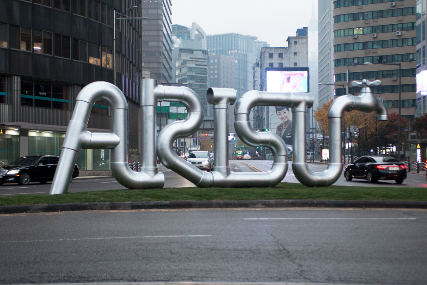 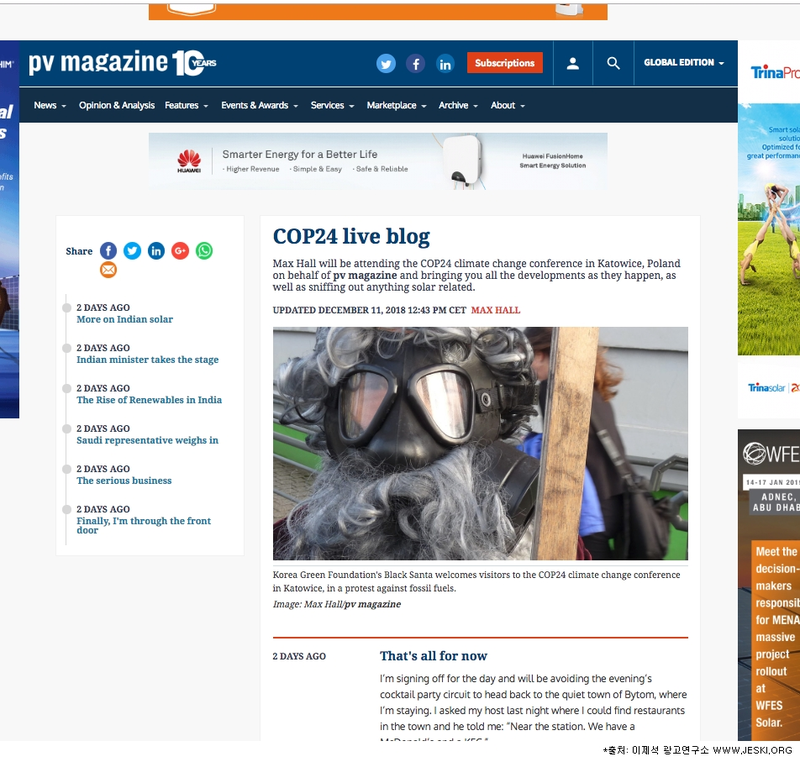 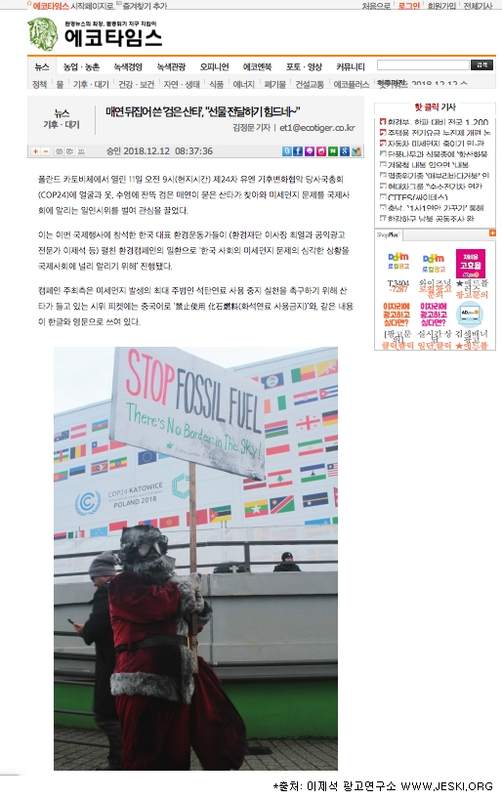 석탄의 이산화탄소(CO2) 배출량은 가스의 2배, 석유의 1.5배에 달하며, 미세먼지나 분진 배출량은 타 연료의 2배 이상을 훌쩍 넘는 것으로 알려졌다. 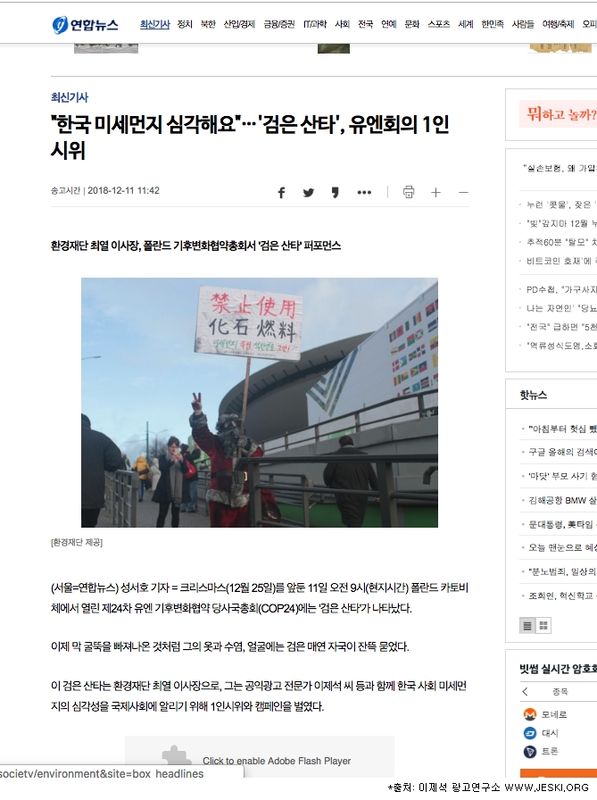 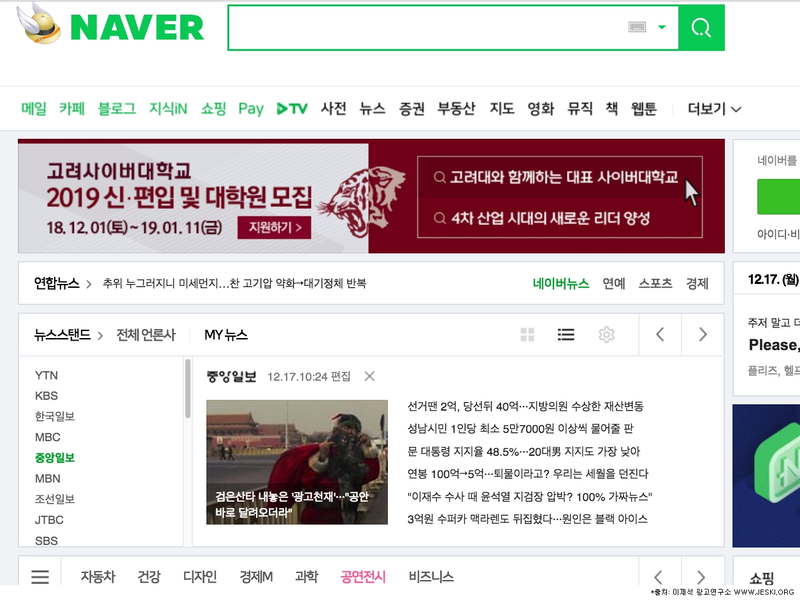 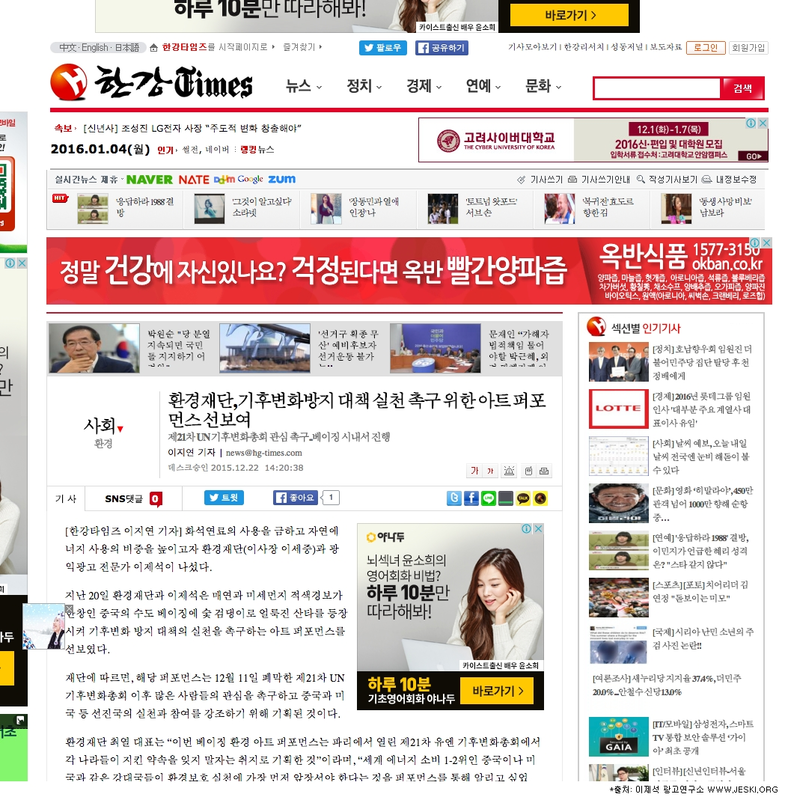 이번 캠페인의 산타클로스 모델로 직접 나선 국내 1호 환경운동가 최열 환경재단 이사장(69)은 칠순에 가까운 나이에도 영하의 날씨 속에 노익장을 발휘하여 후배 환경운동가들과 COP24에 참석한 전세계 환경인사의 주목을 받았다. 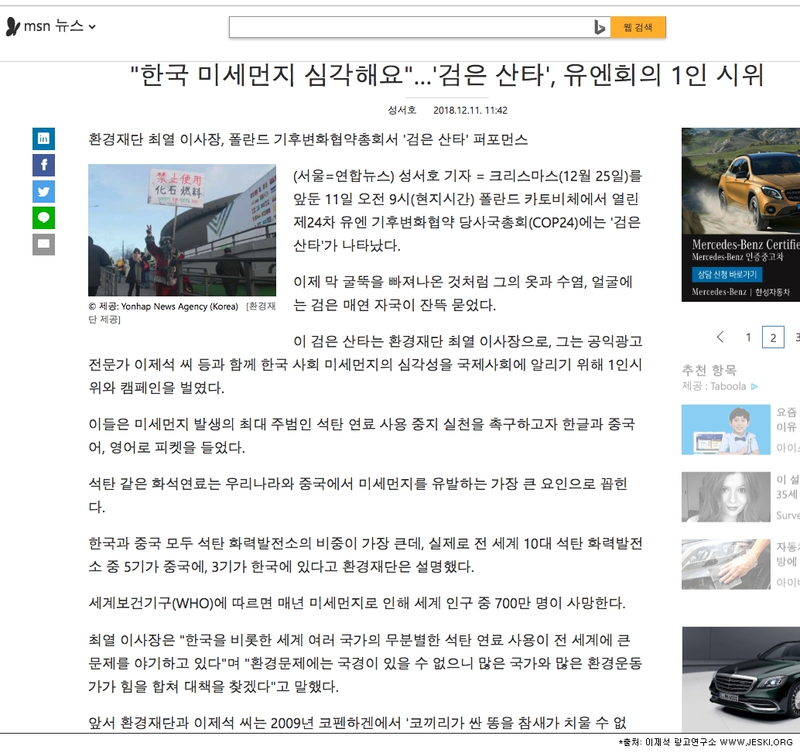 최열 이사장은 “한국을 비롯한 세계 여러 국가의 무분별한 석탄 연료 사용이 전세계에 큰 문제를 야기하고 있다. 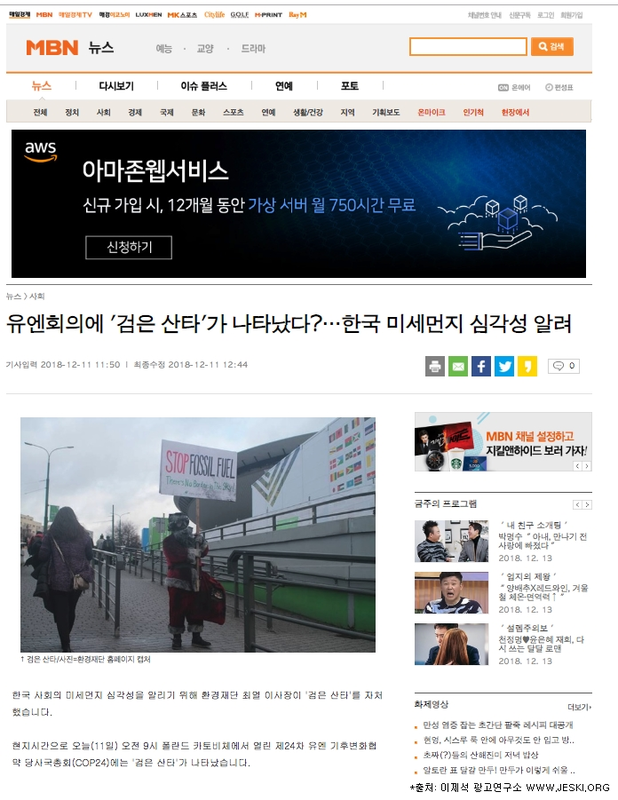 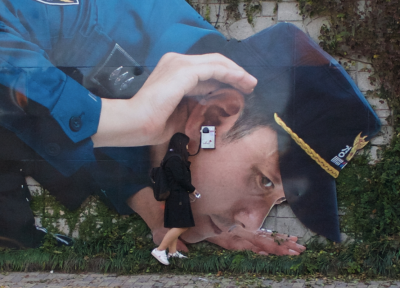 환경문제에 있어 국경이 있을 수 없다. 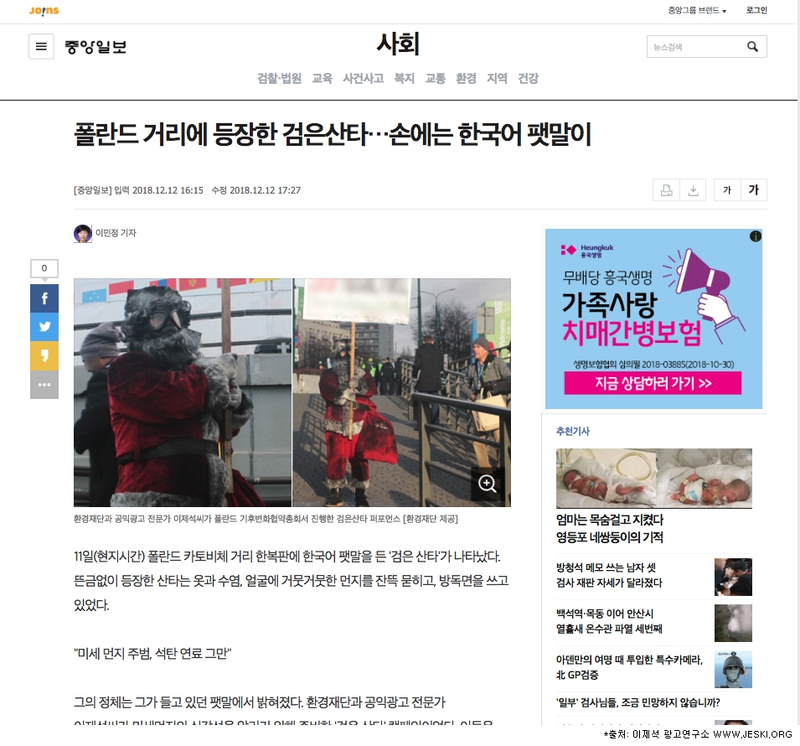 많은 국가들과 많은 환경운동가들과 힘을 합쳐 대한민국의 하늘이 다시 맑아지는 날까지 목숨을 걸고 국제 사회에 이 문제를 알려서 대책을 찾겠다”고 밝혔다. 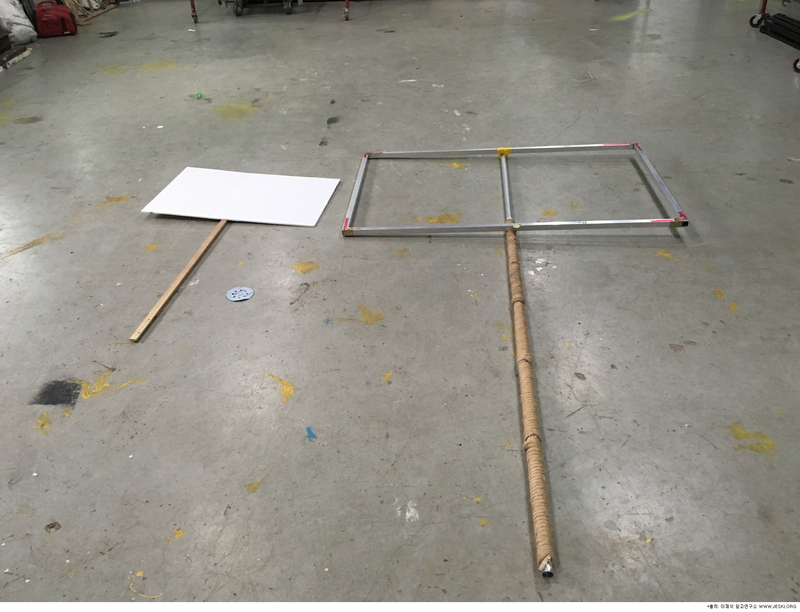 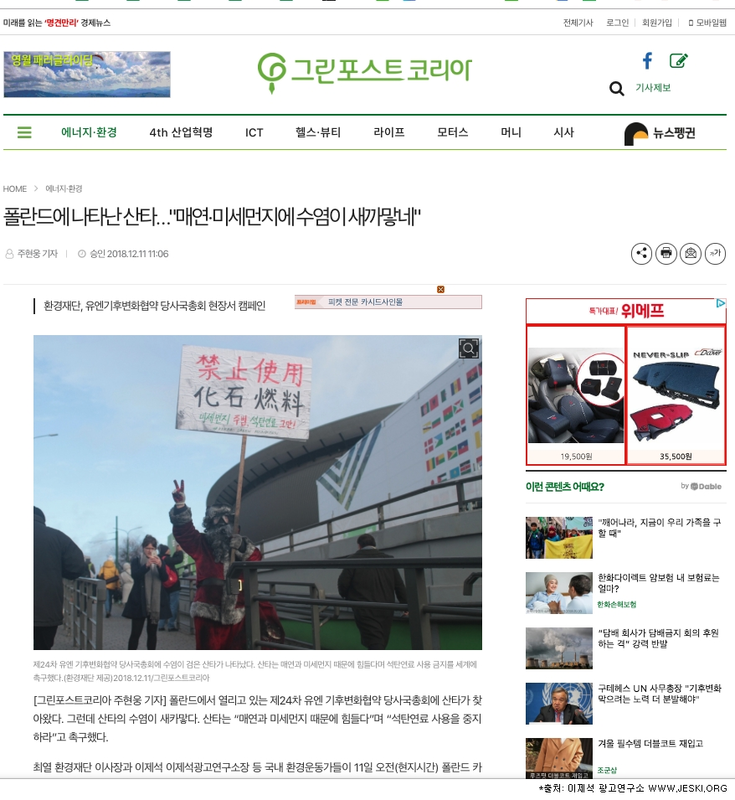 폴란드 현지 경찰 및 경비대들의 강력한 저지가 있었음. 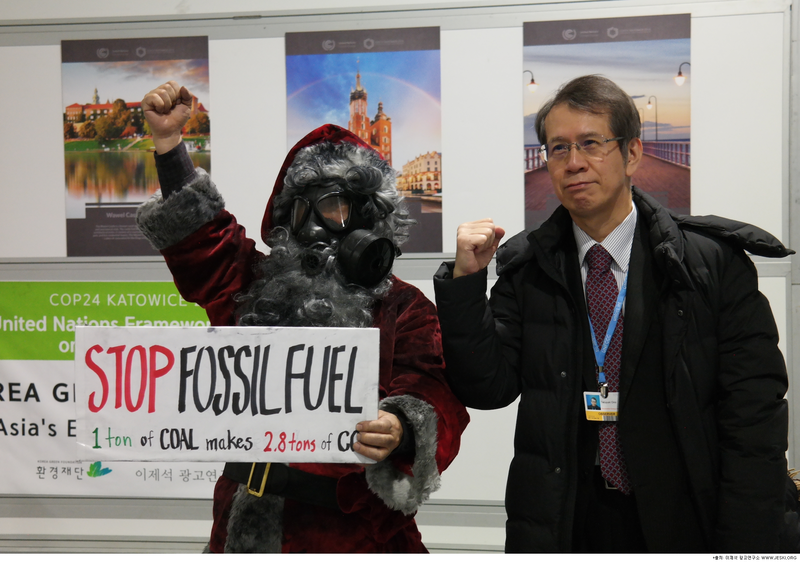 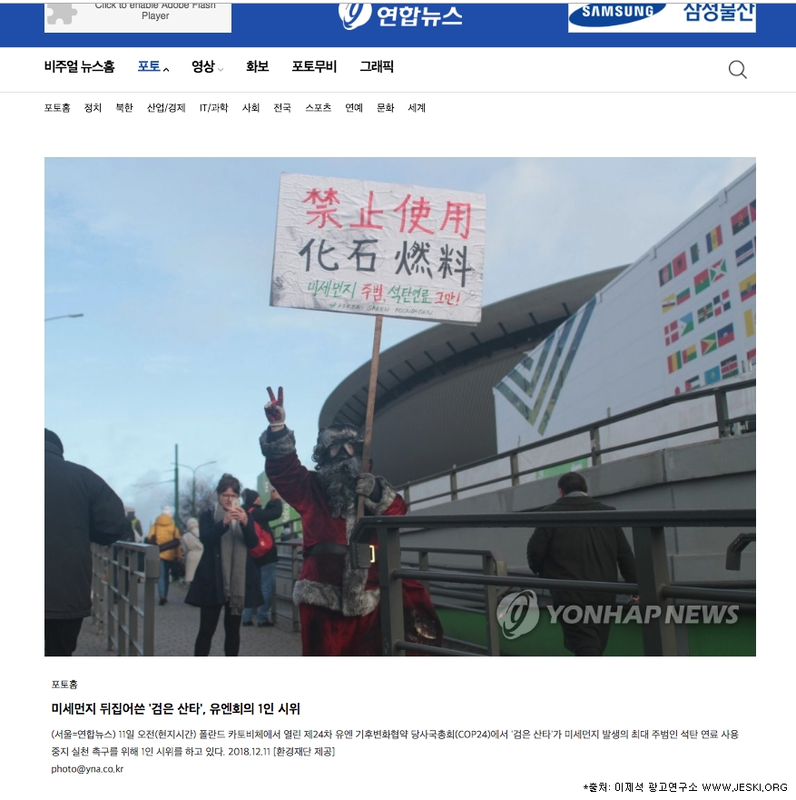 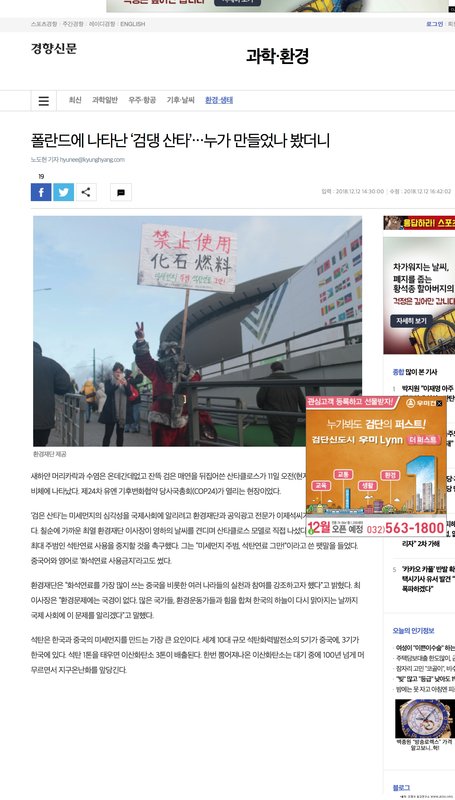 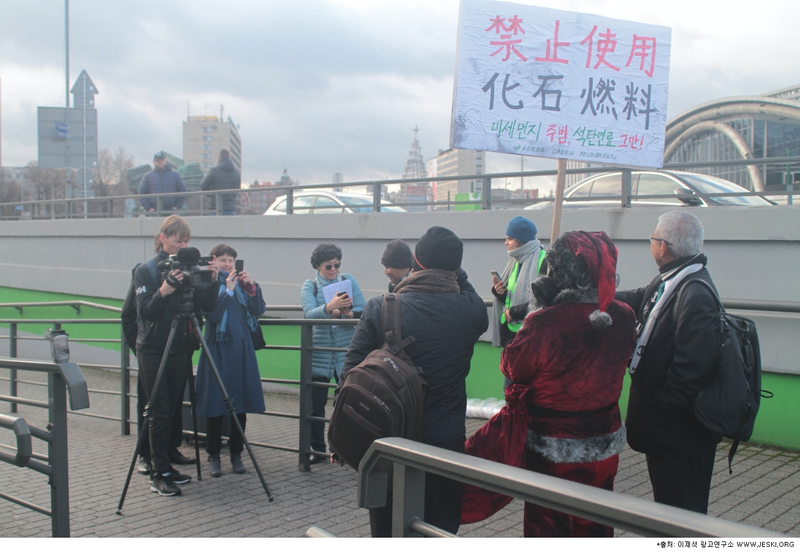 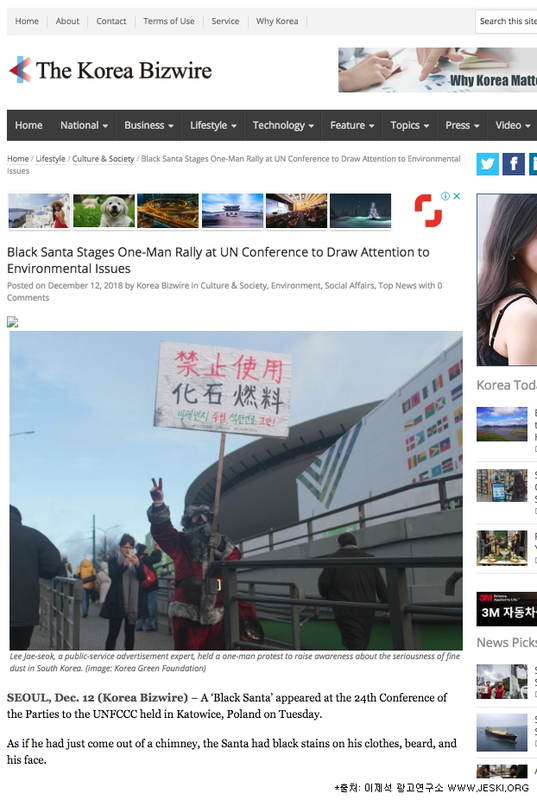 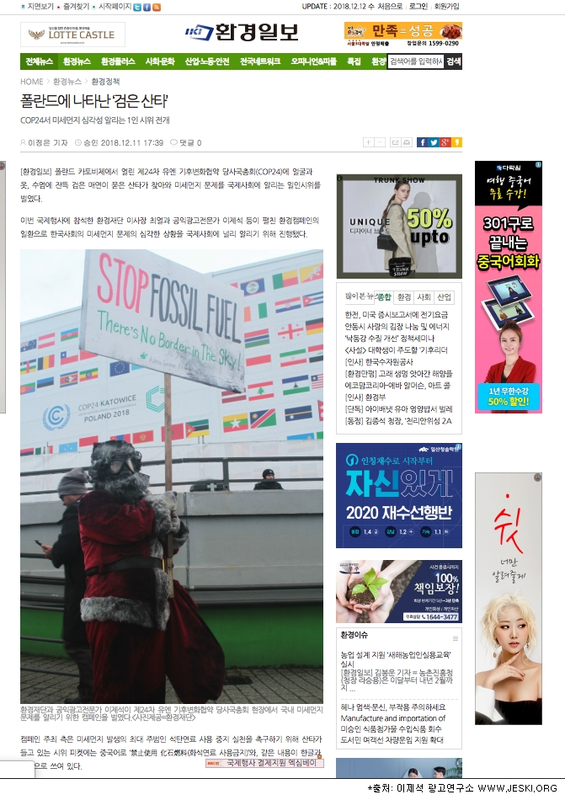 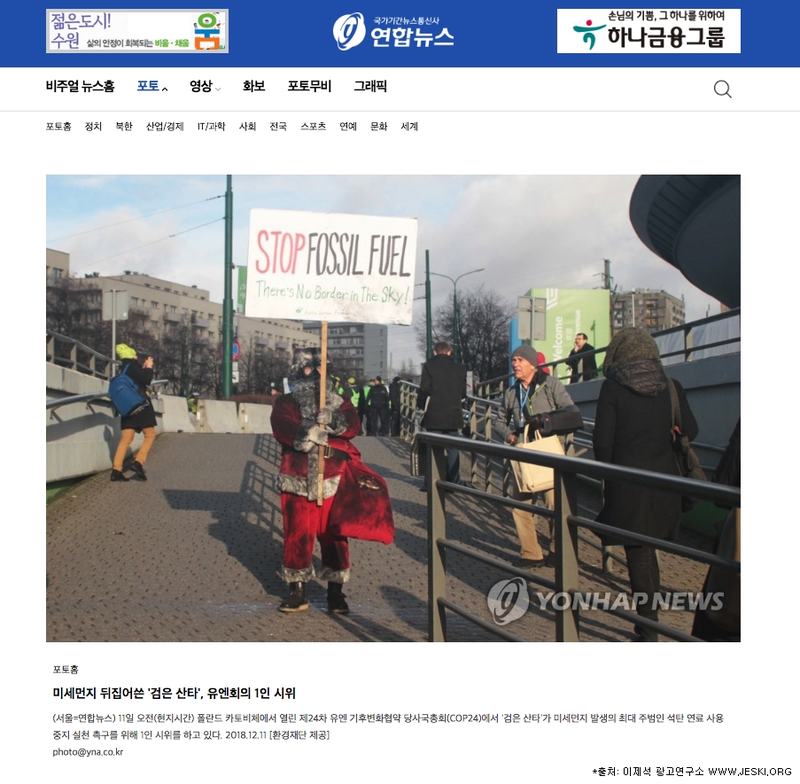 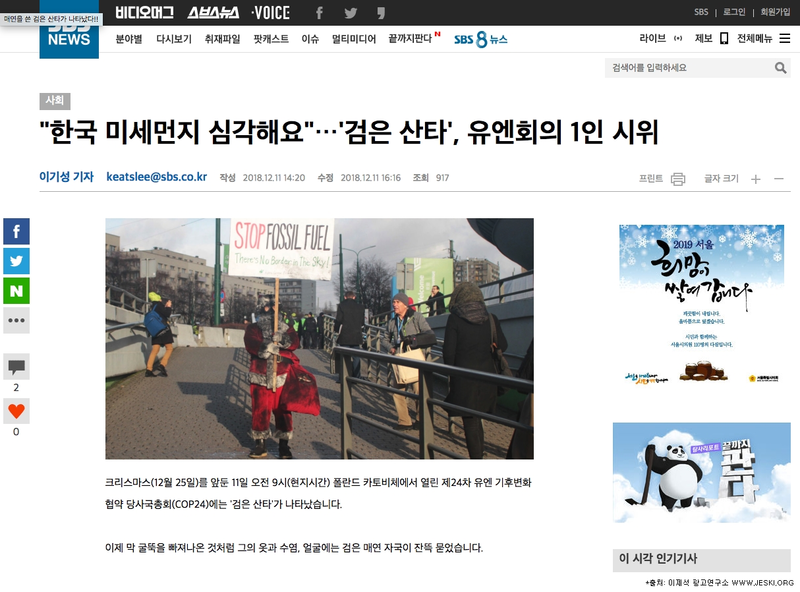 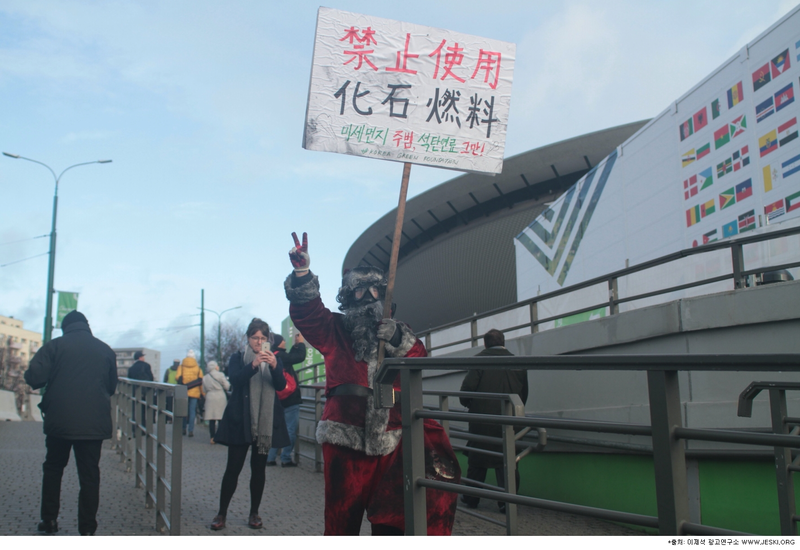 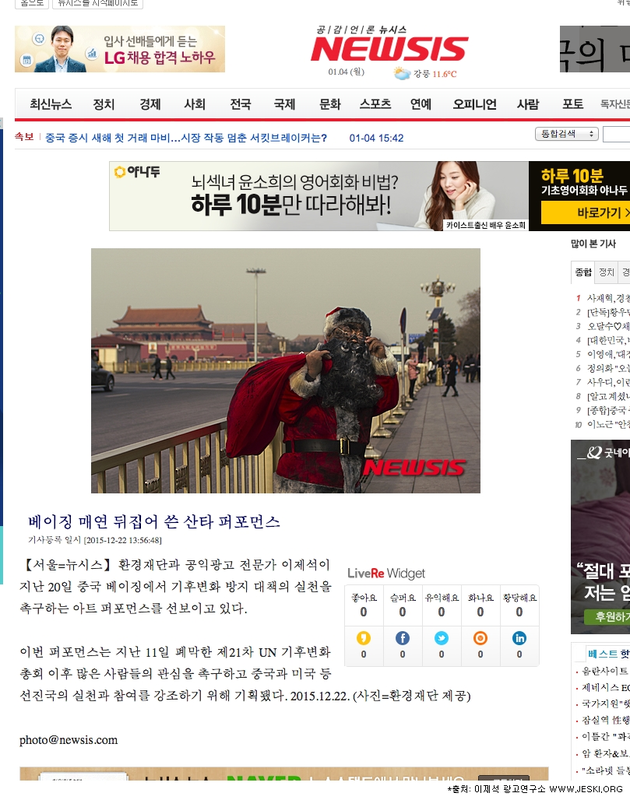 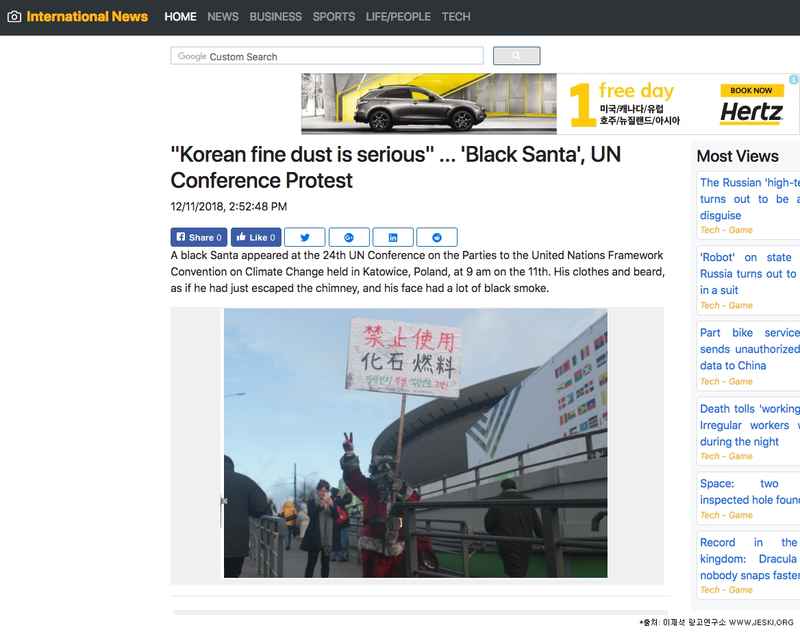 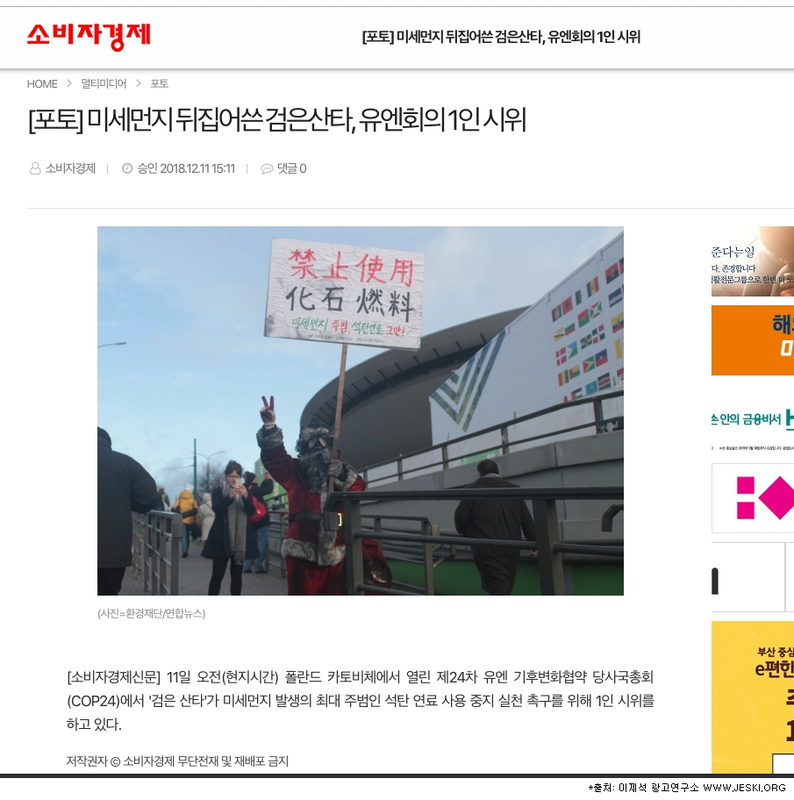 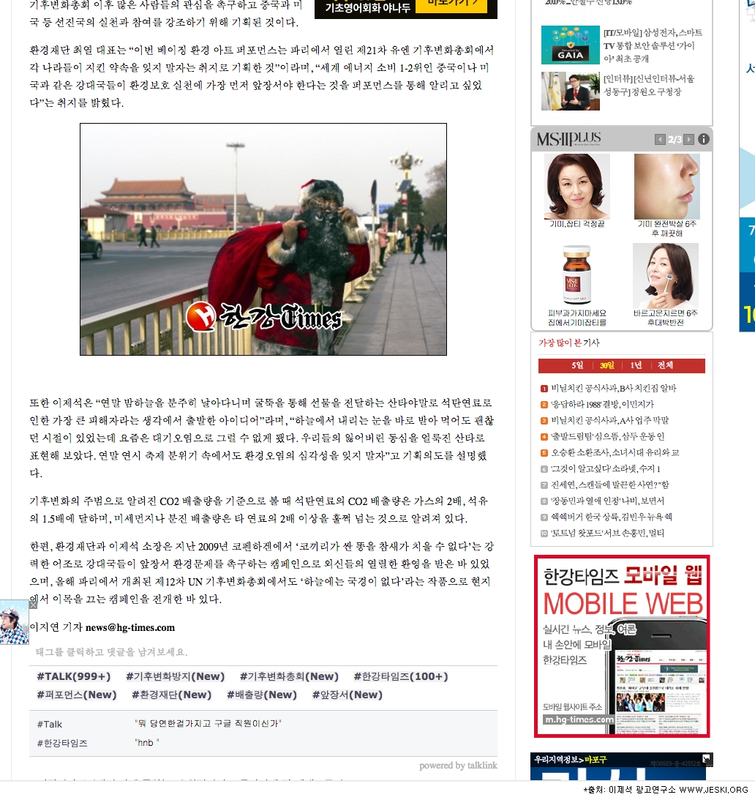 ▲ After the 12th United Nations Climate Change Conference, which was closed on Dec. 11, Korea Green Foundation (President Lee Se-jung www.greenfund.org) and Yi Je-seok who is a public advertisement expert showed art performance that wishes the end of fossil fuel era on Dec. 20 in Beijing, the capital city of China. 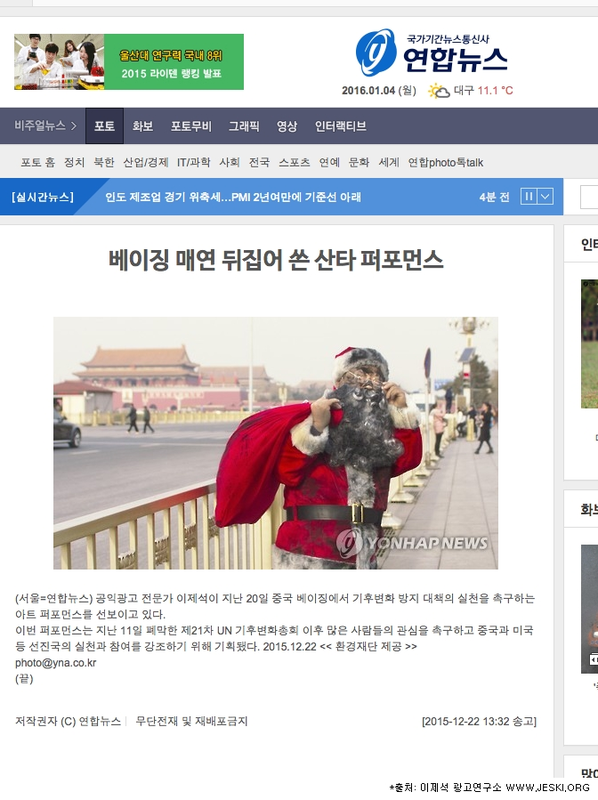 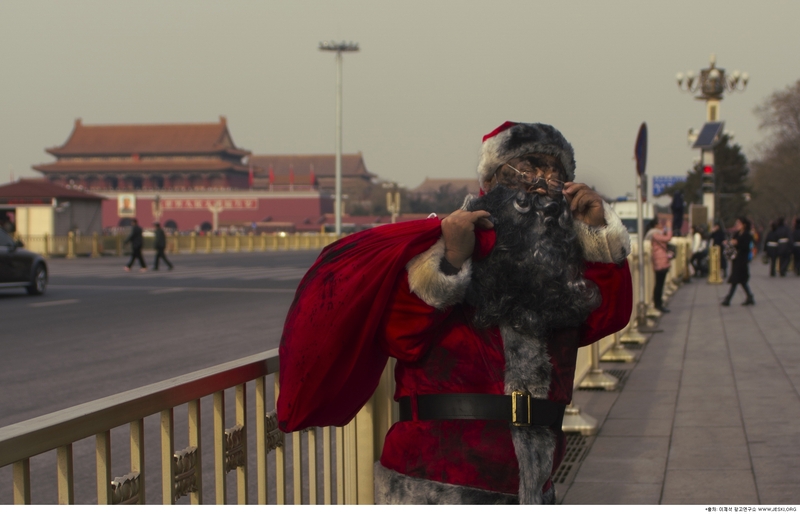 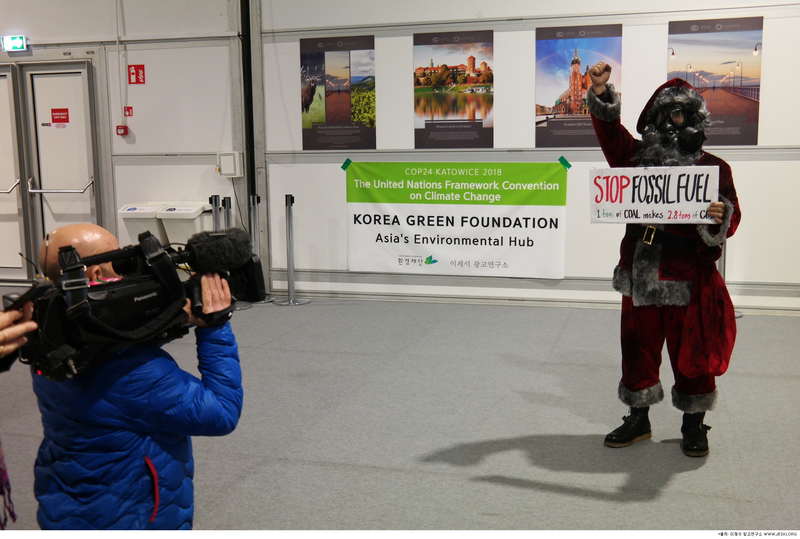 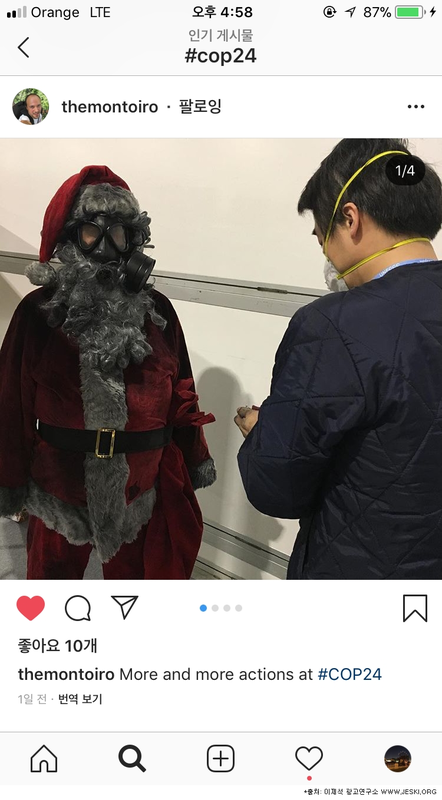 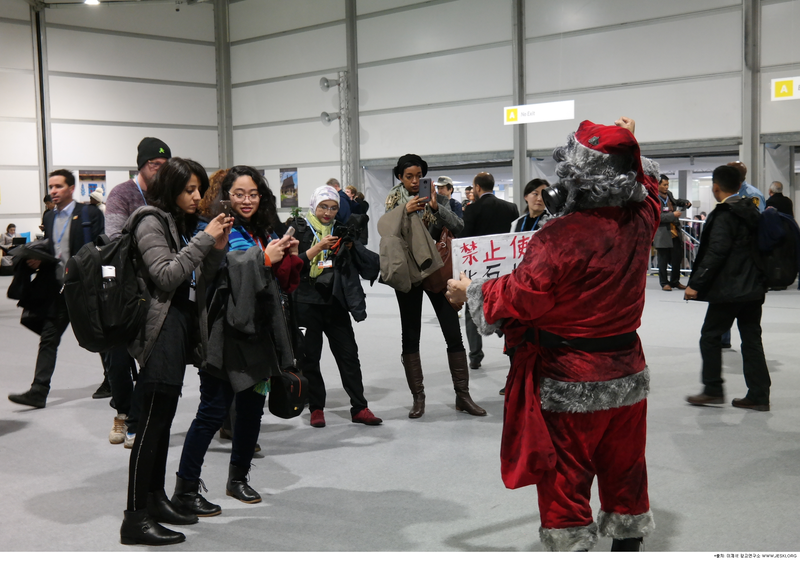 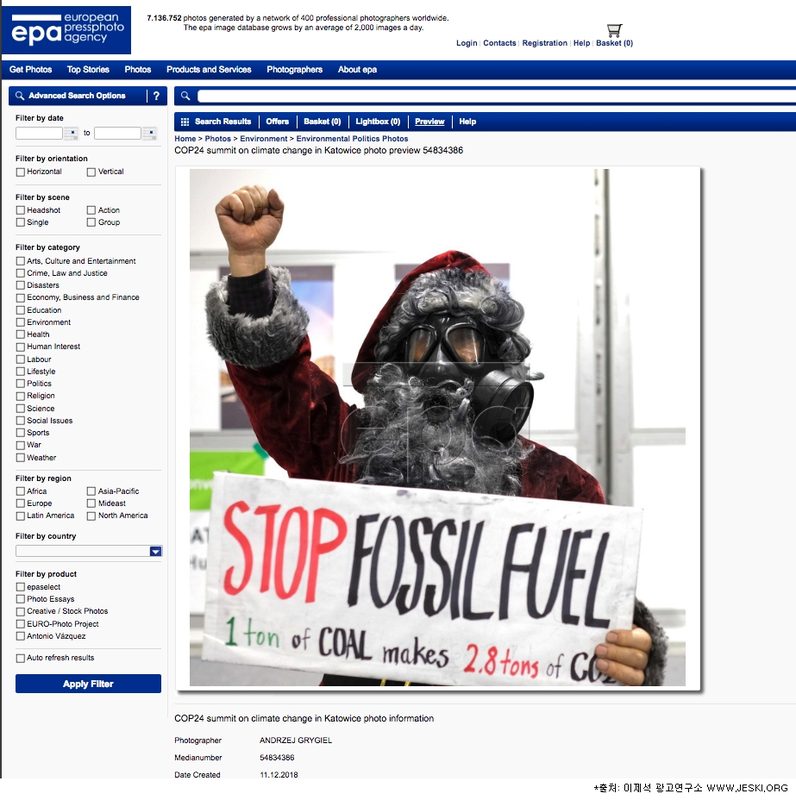 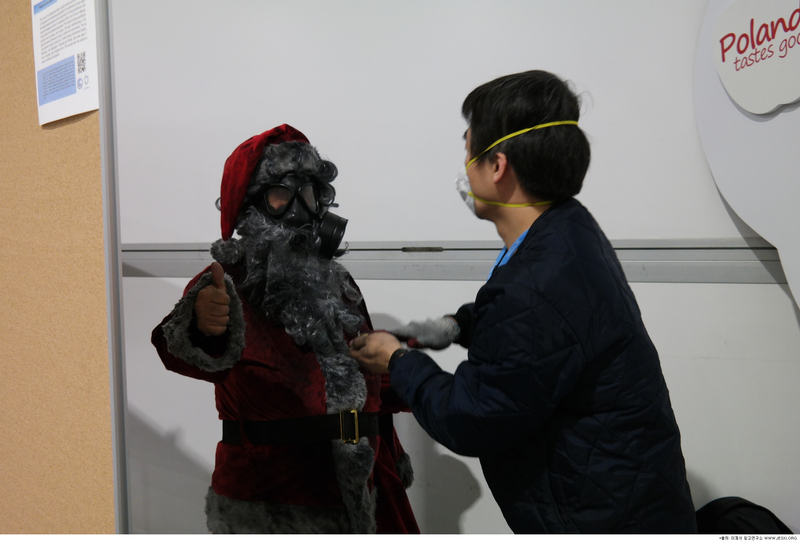 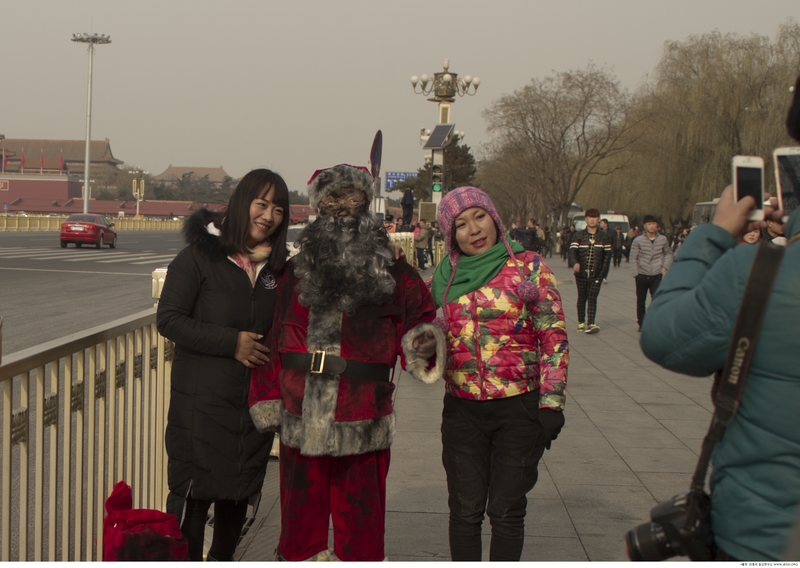 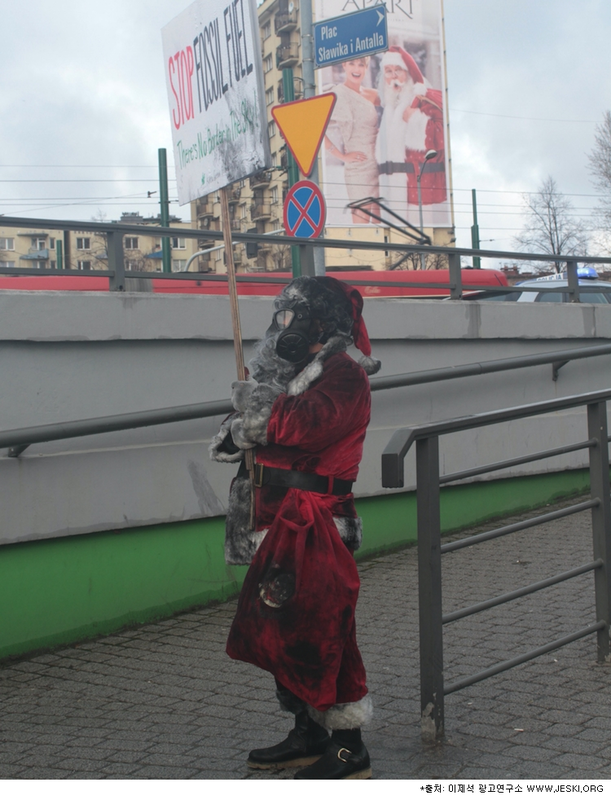 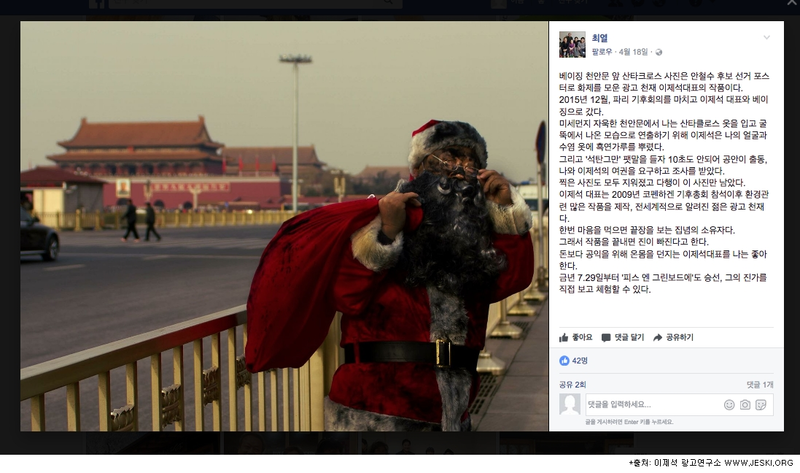 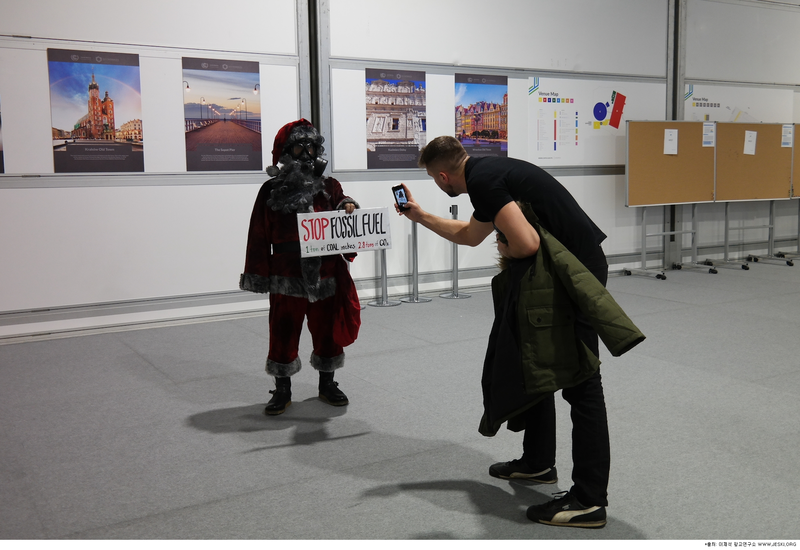 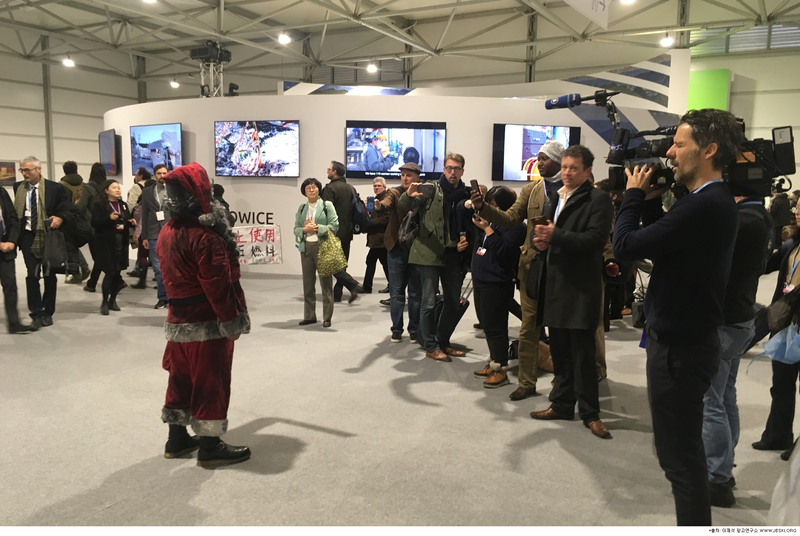 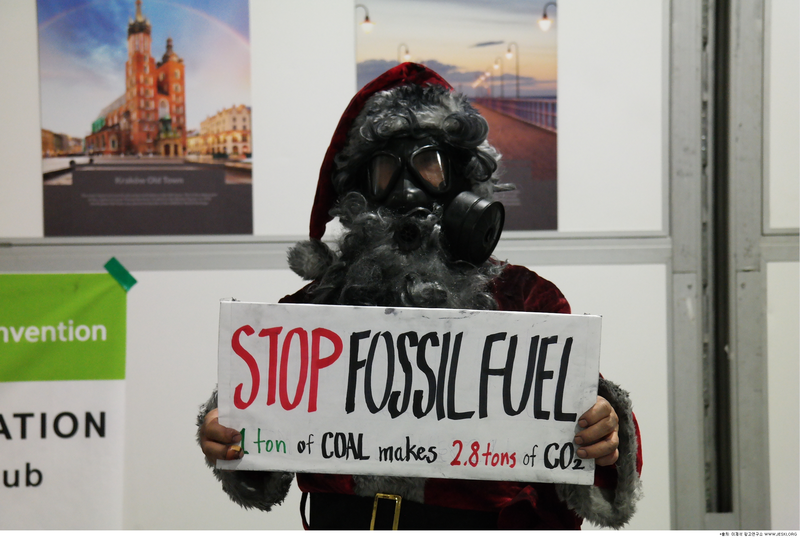 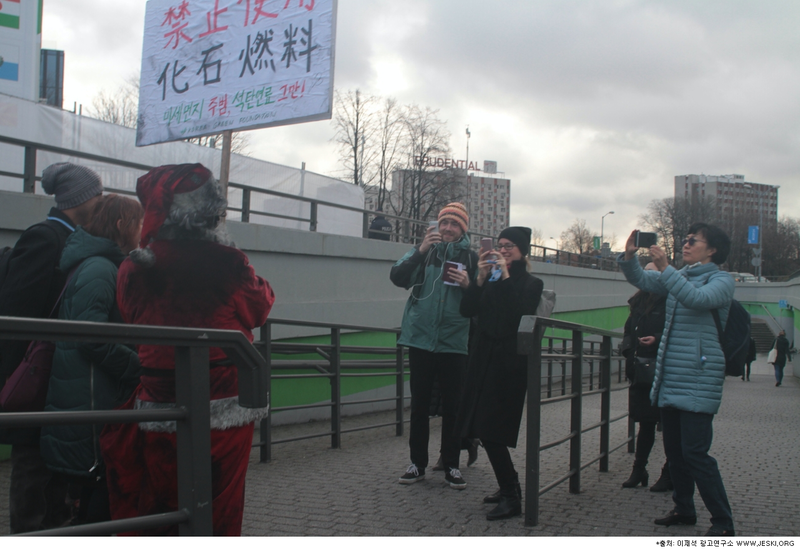 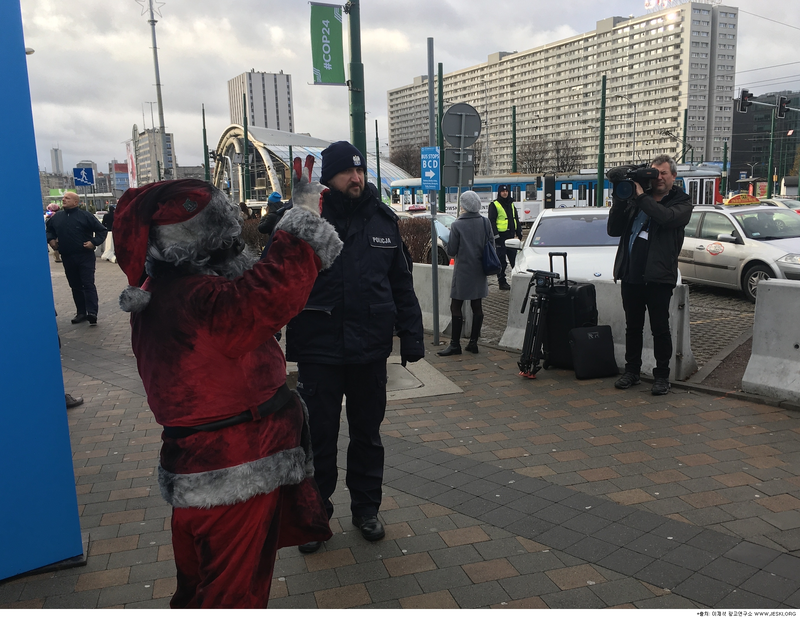 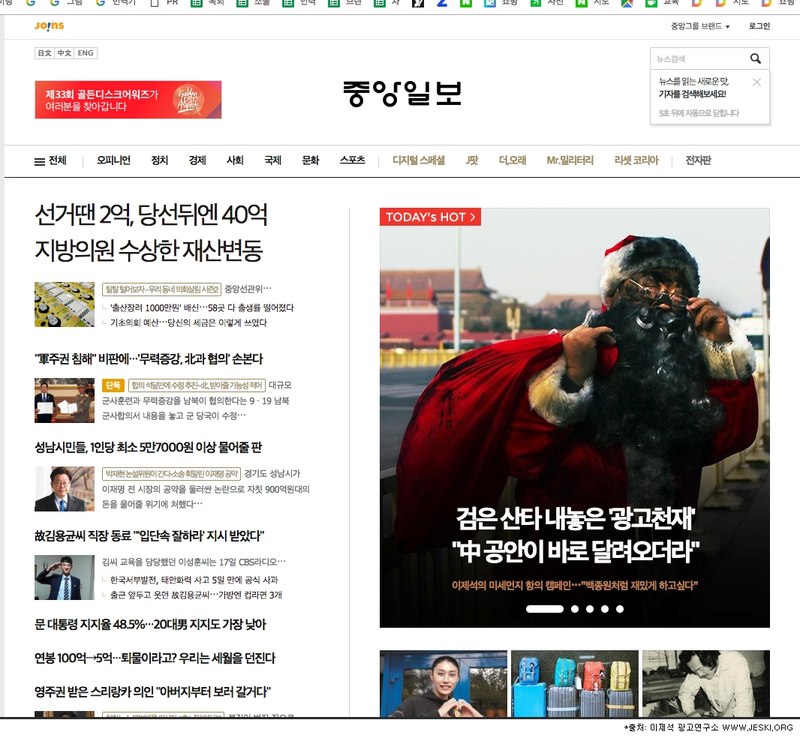 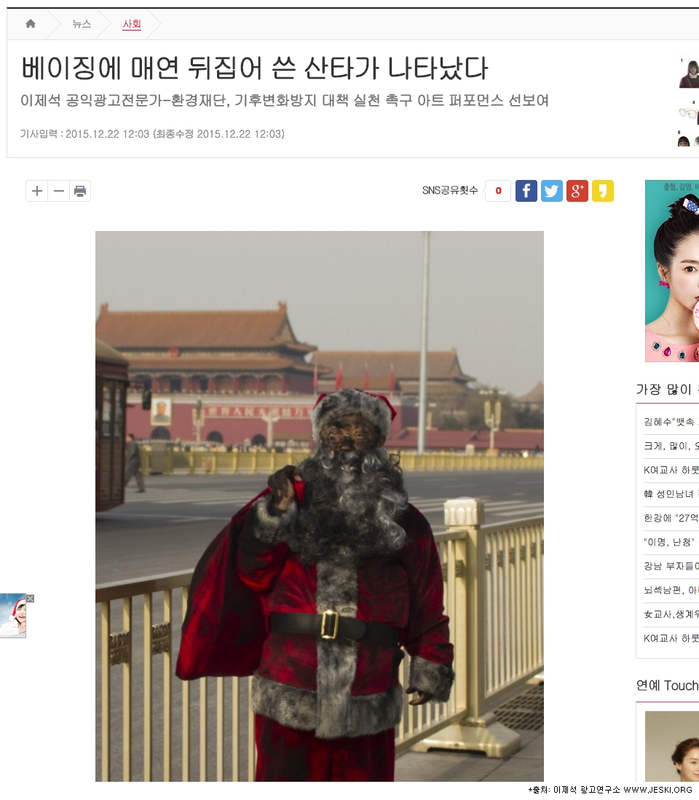 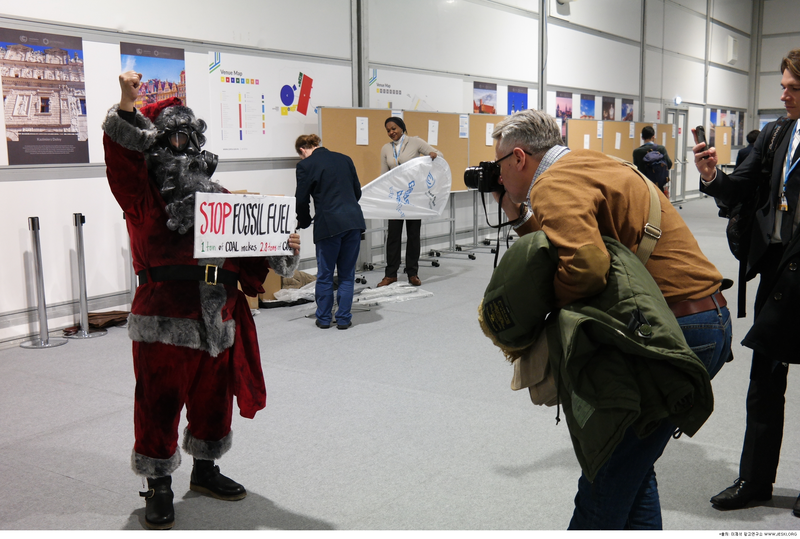 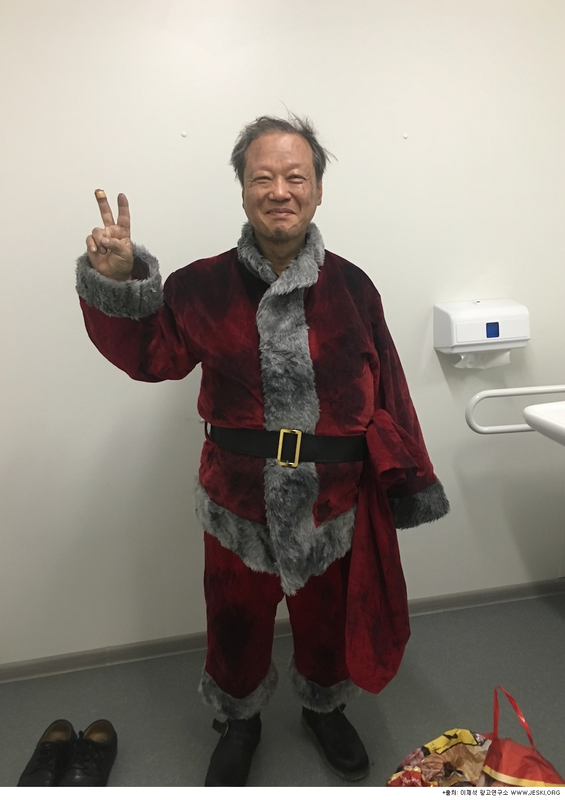 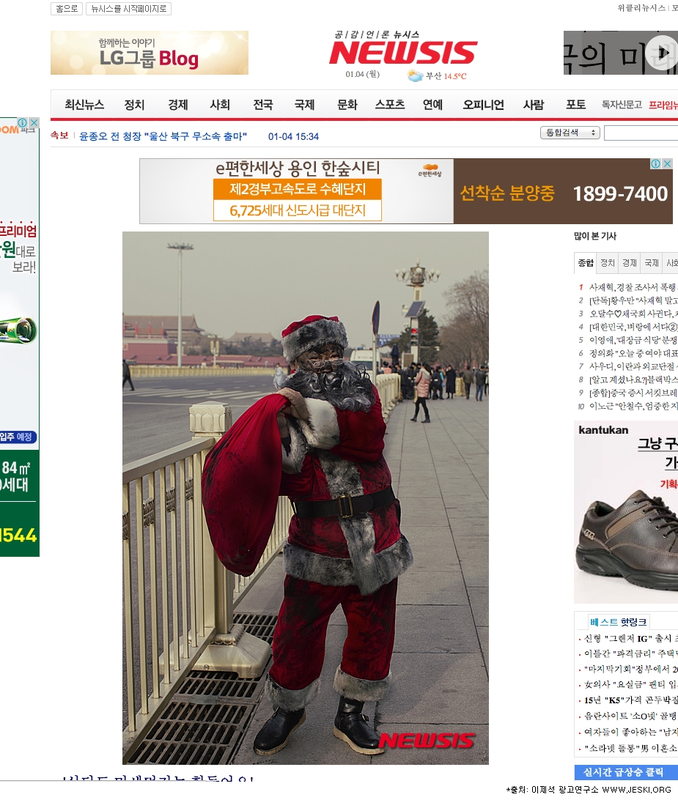 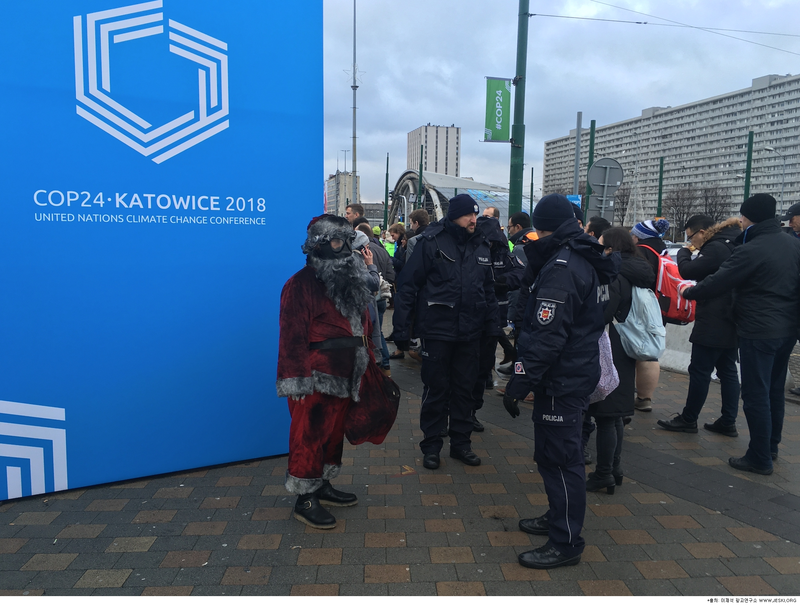 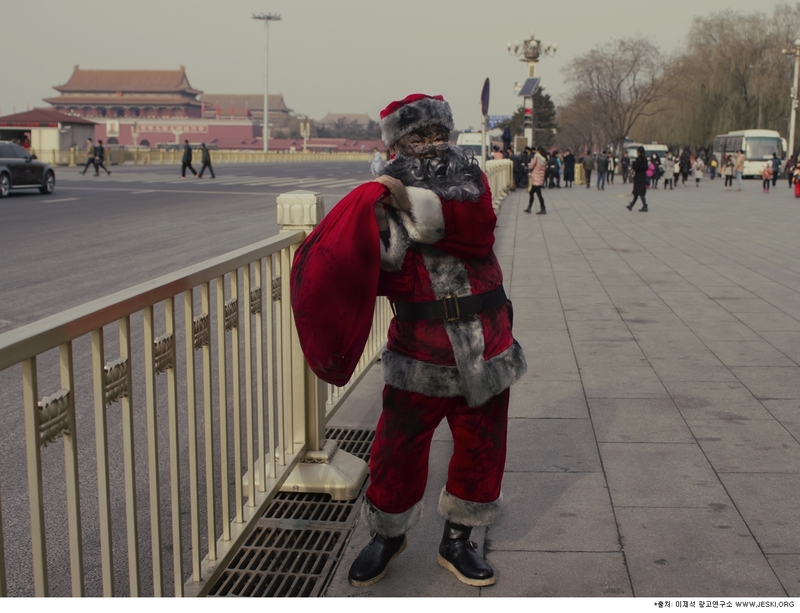 The Santa Claus who is stained with smoke rather than Santa Claus wearing red cloth and white beard appeared in Beijing, capital of China, which has red smog alarm for a few consecutive days, grabbing the attention of the local citizens. 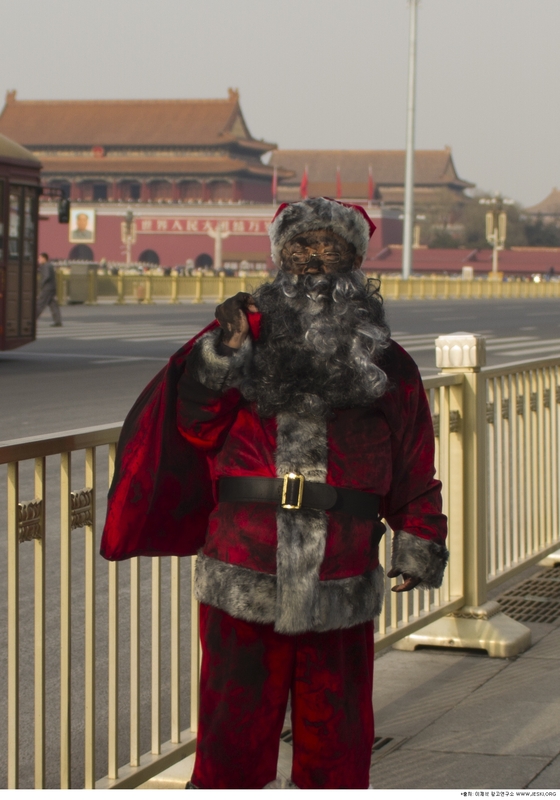 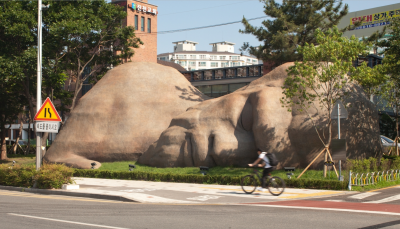 The artwork, which was created by using coal, one of the fossil fuels, as a material is the performance that crisscrossed the center of Beijing, which is the heart of China, showing the seriousness of the air pollution with the whole body expression. 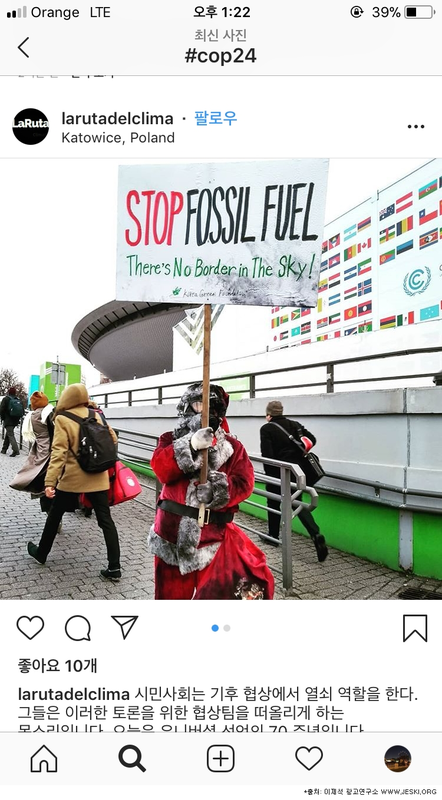 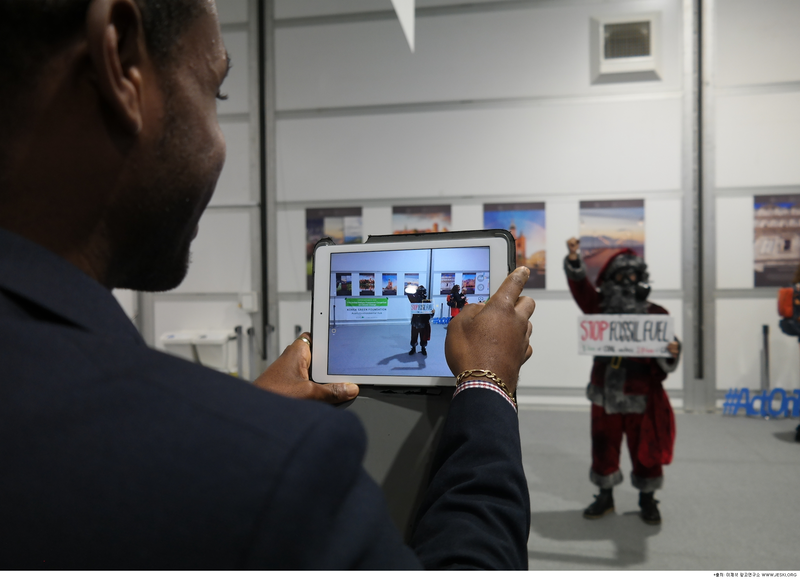 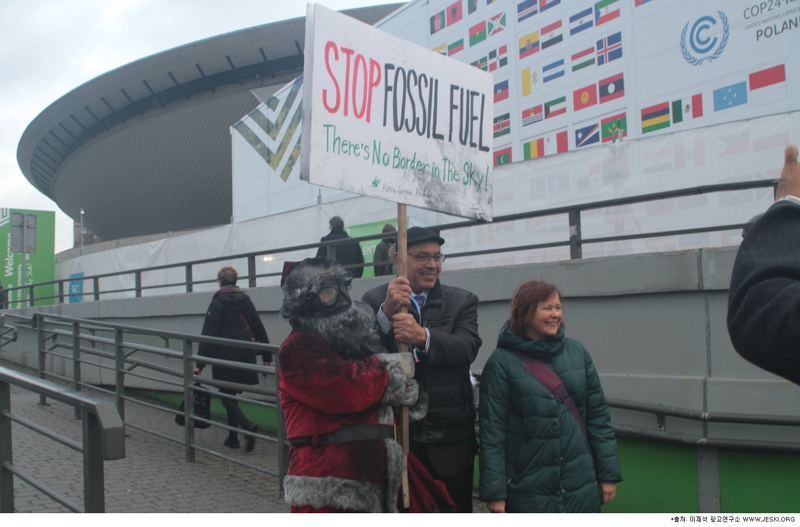 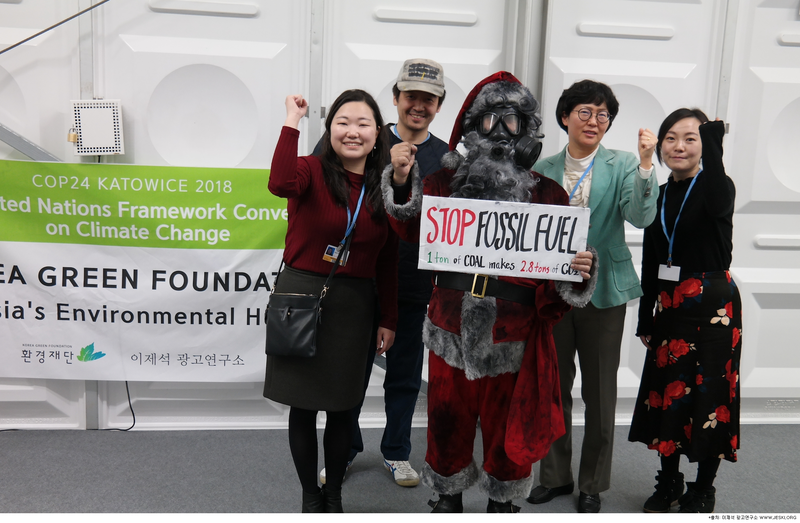 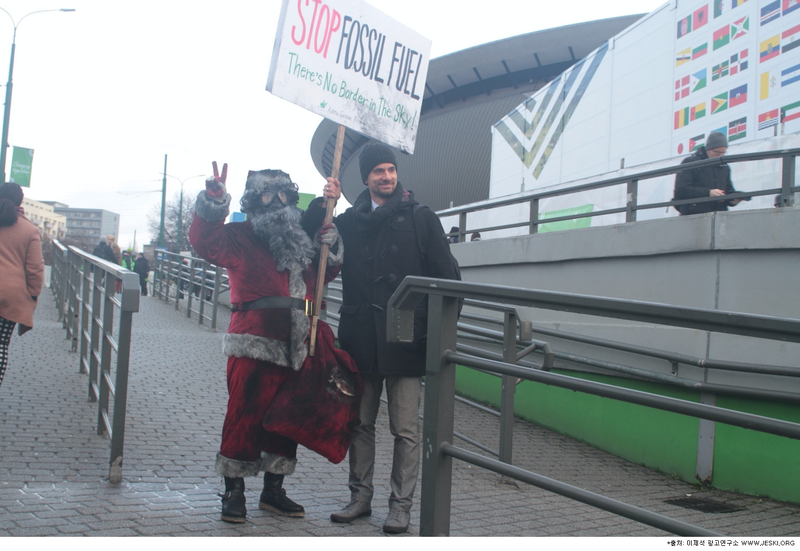 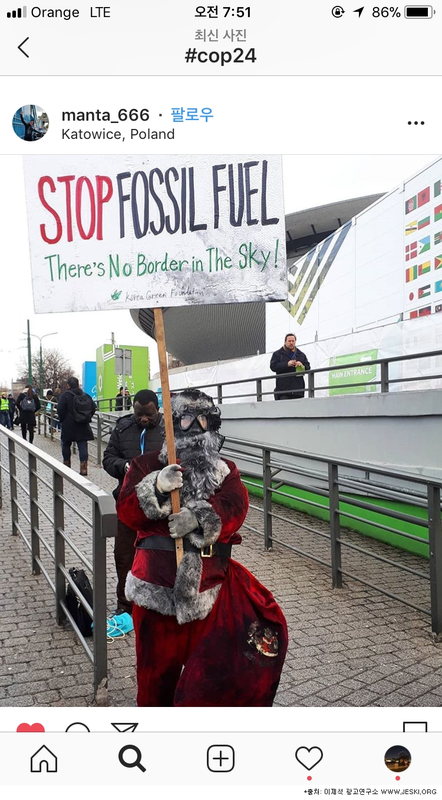 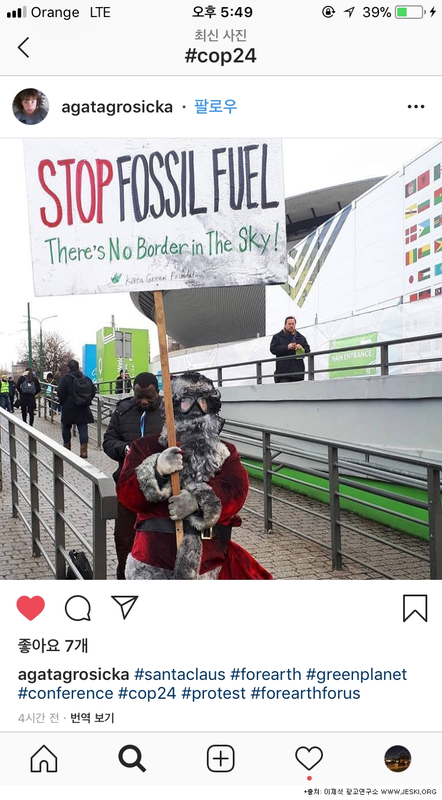 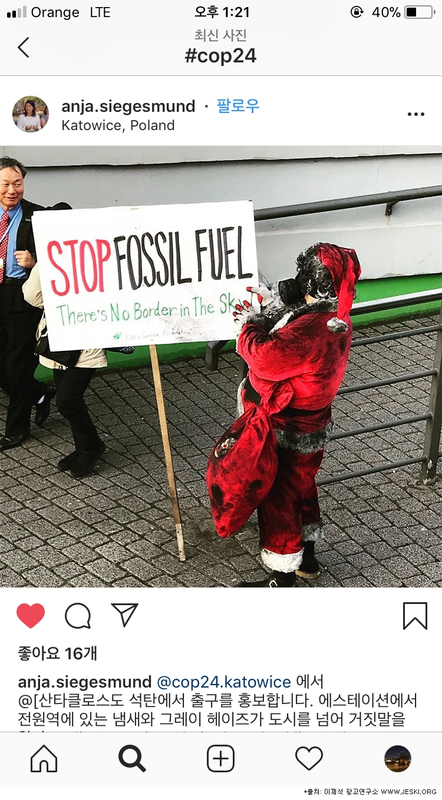 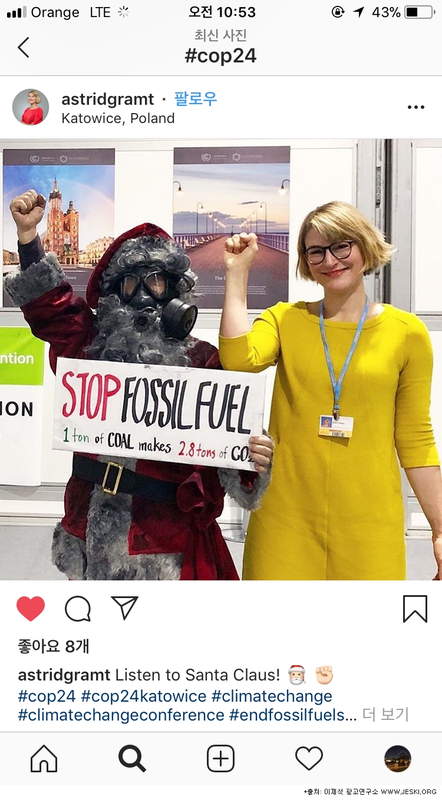 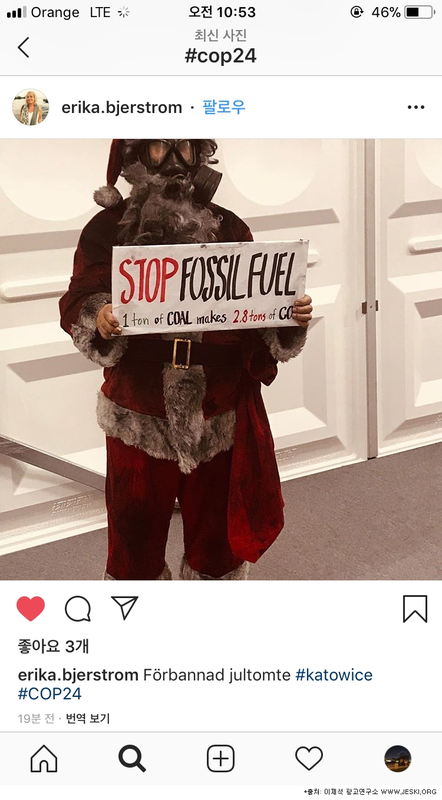 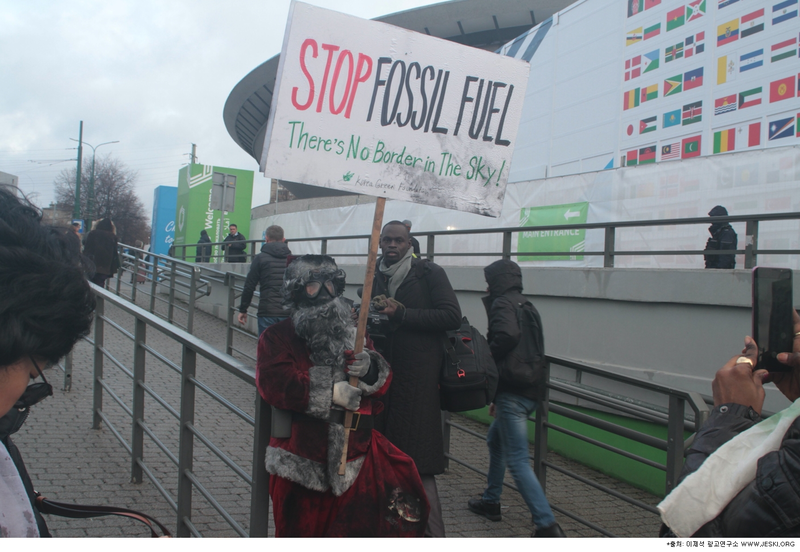 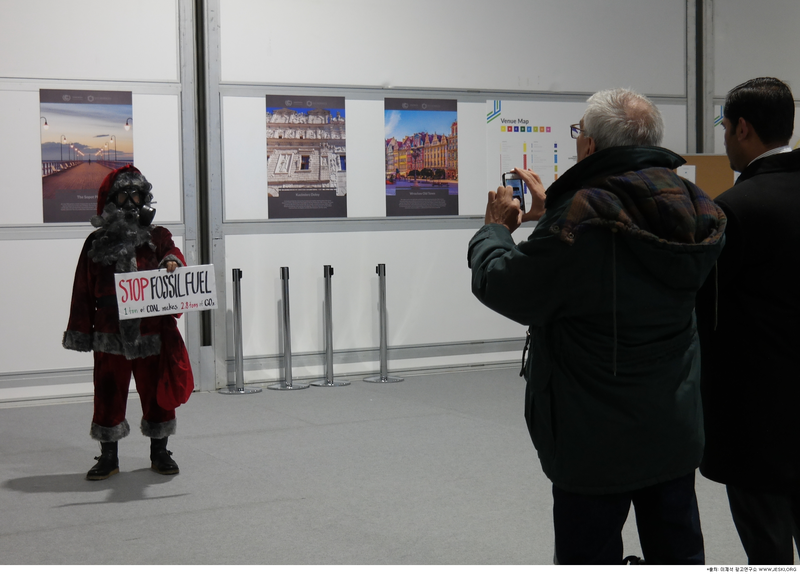 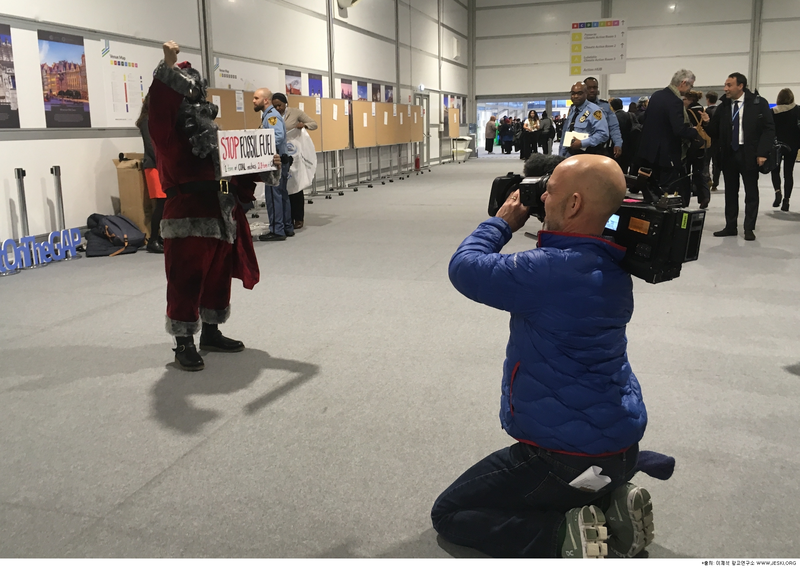 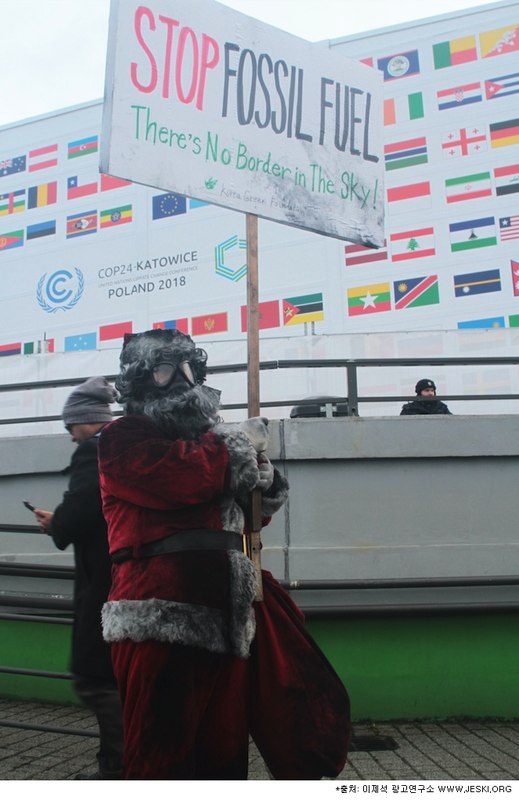 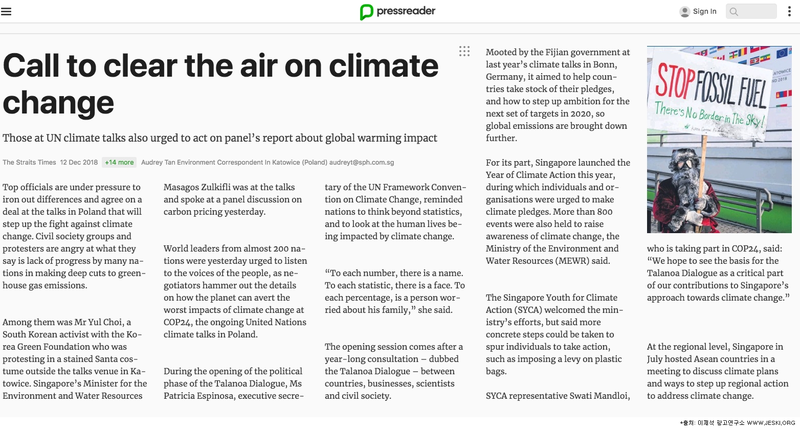 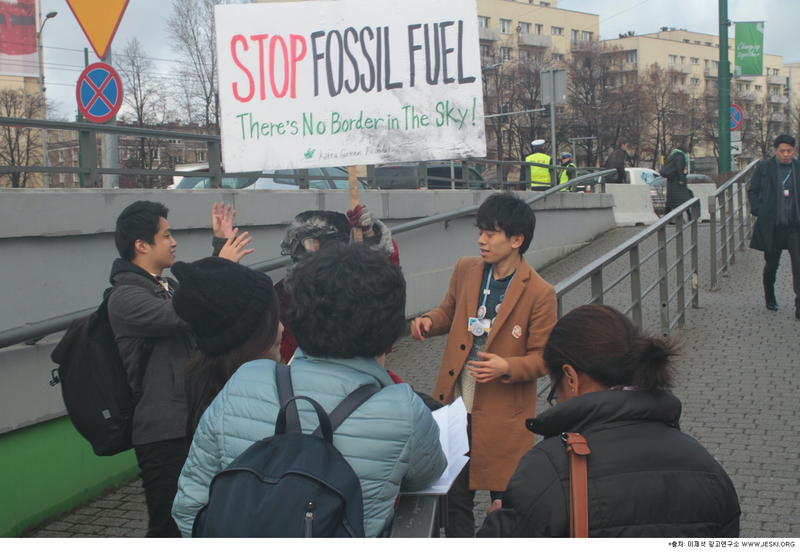 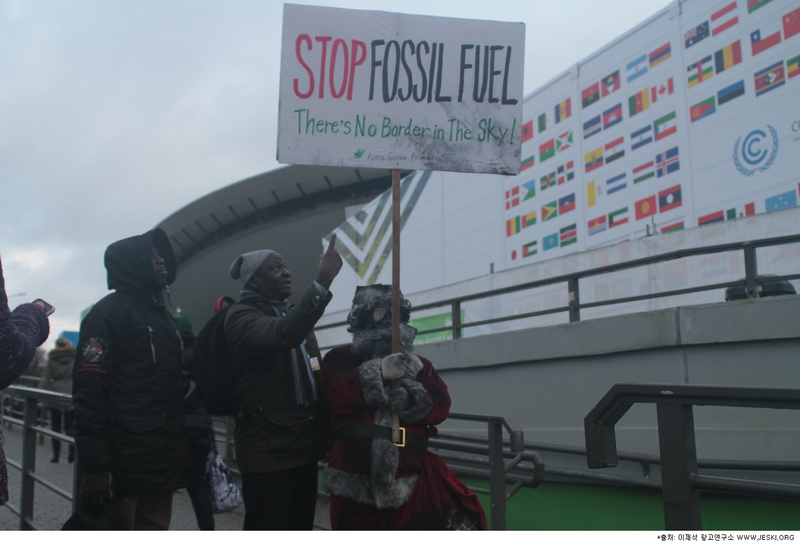 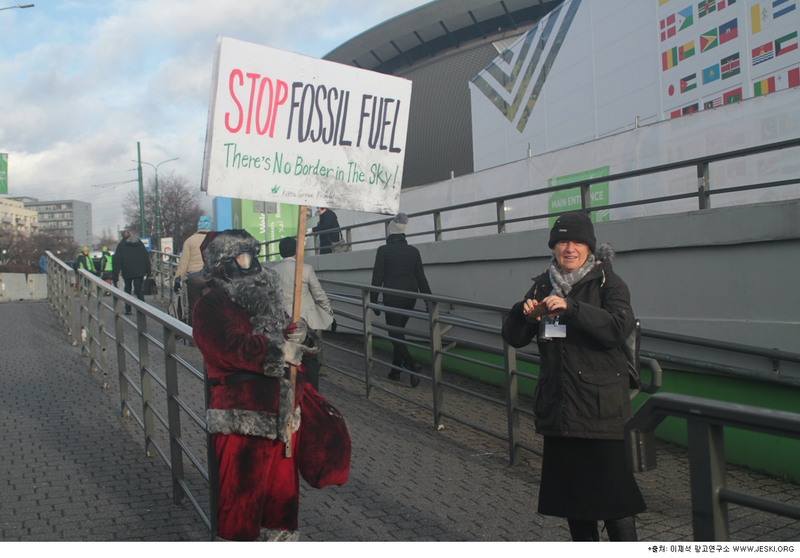 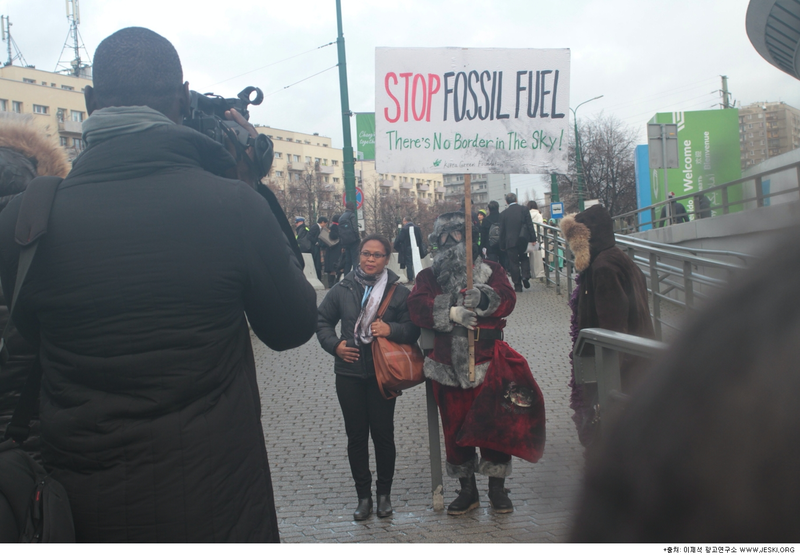 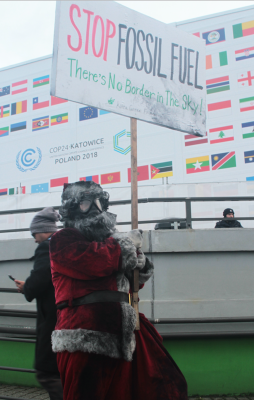 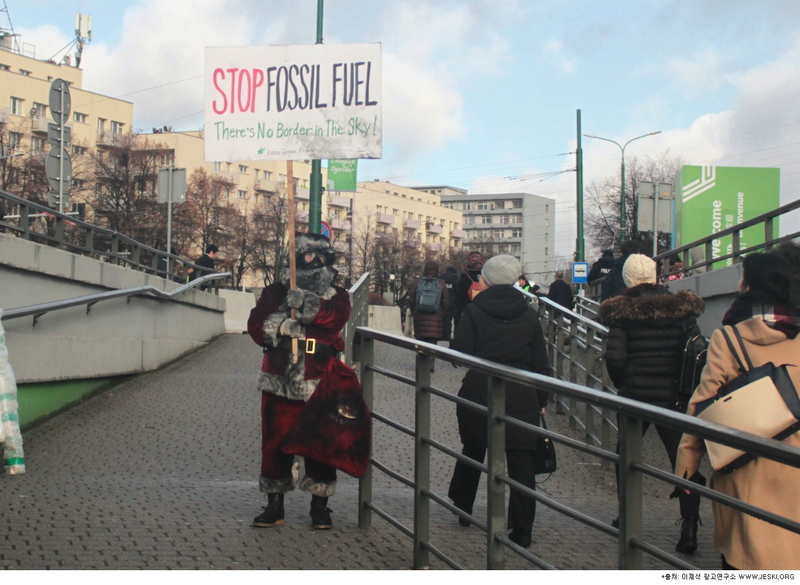 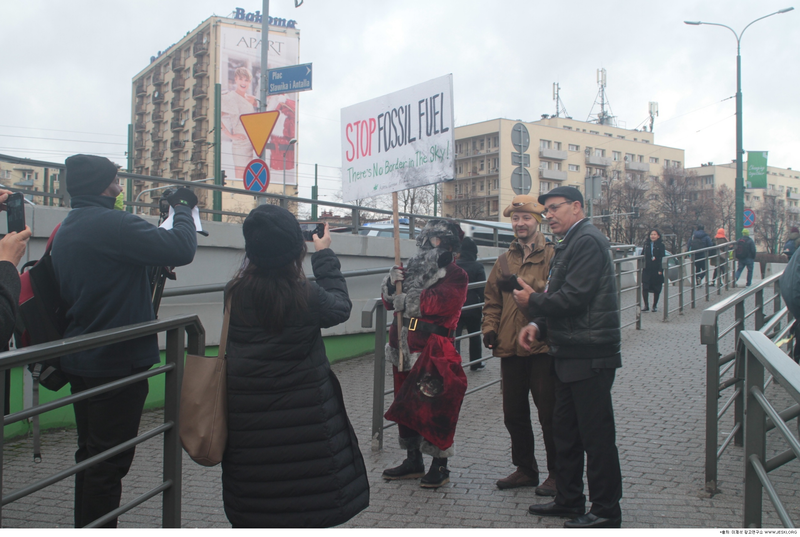 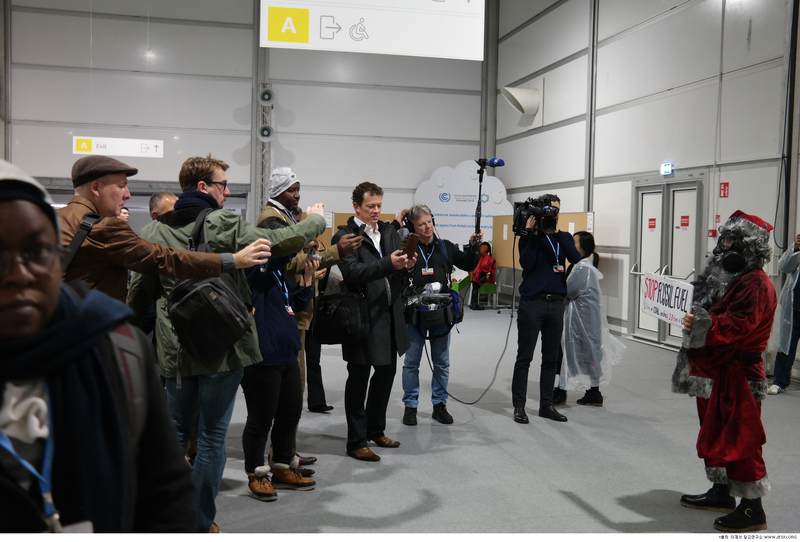 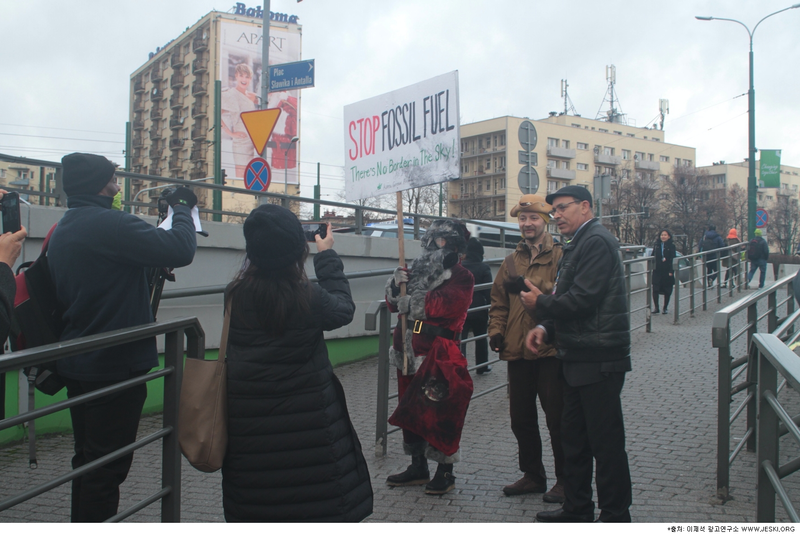 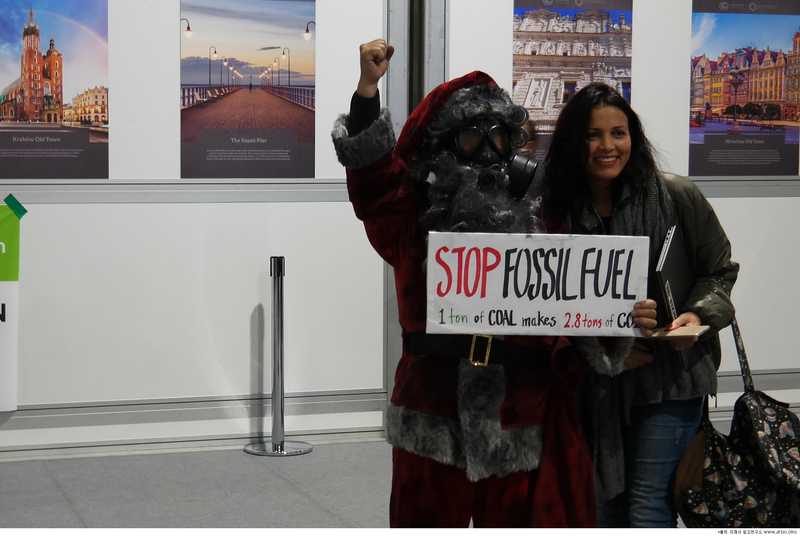 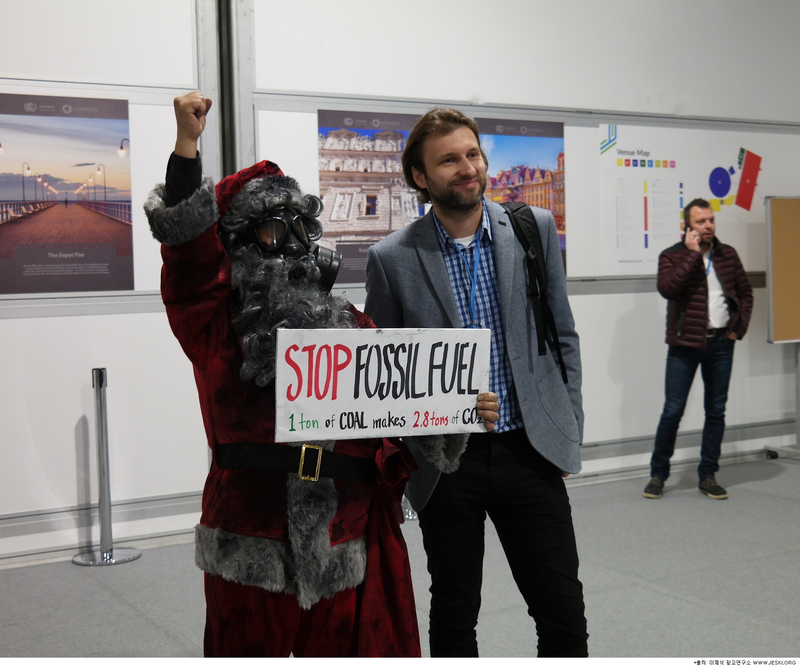 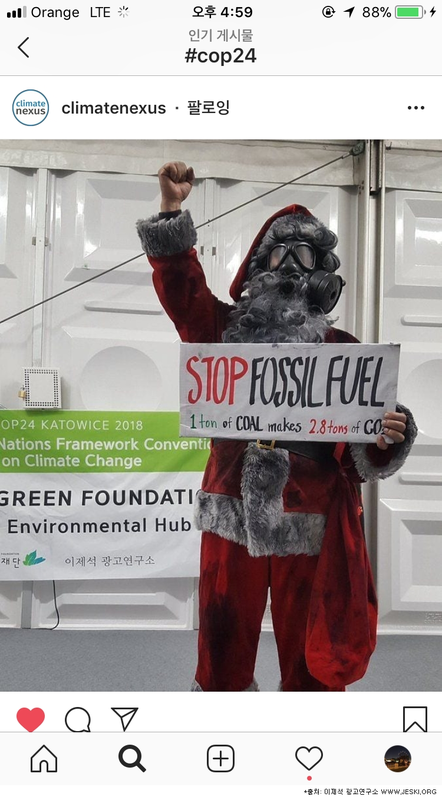 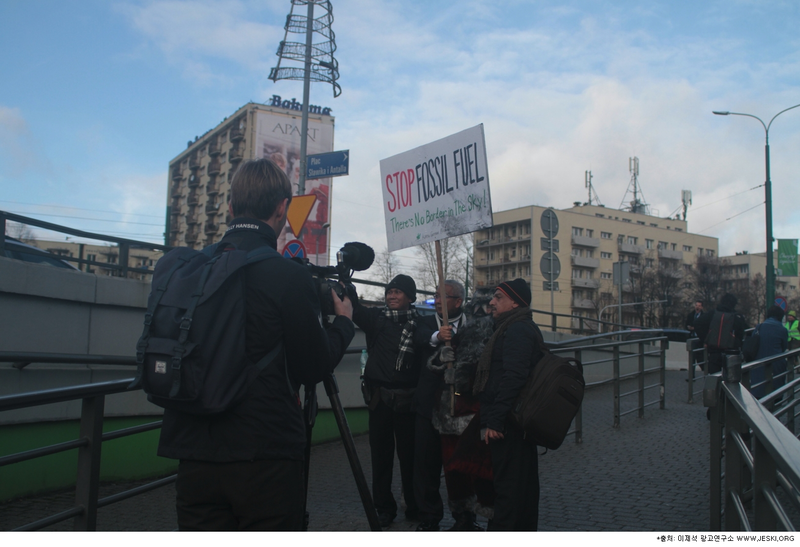 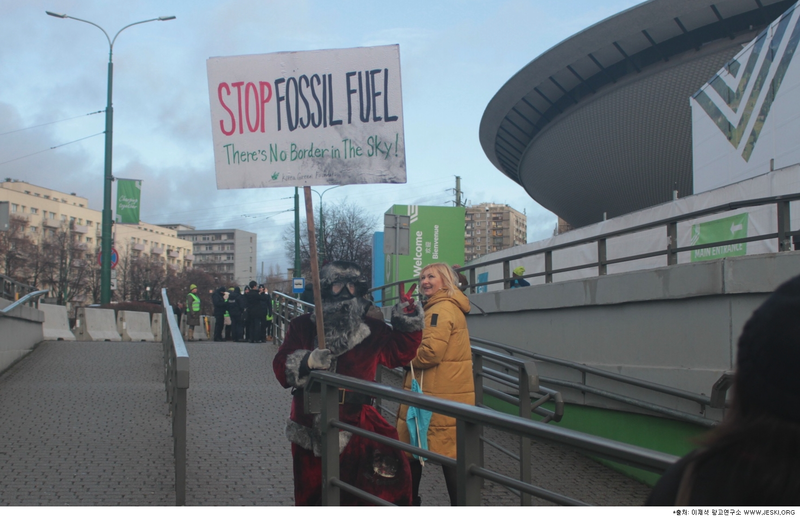 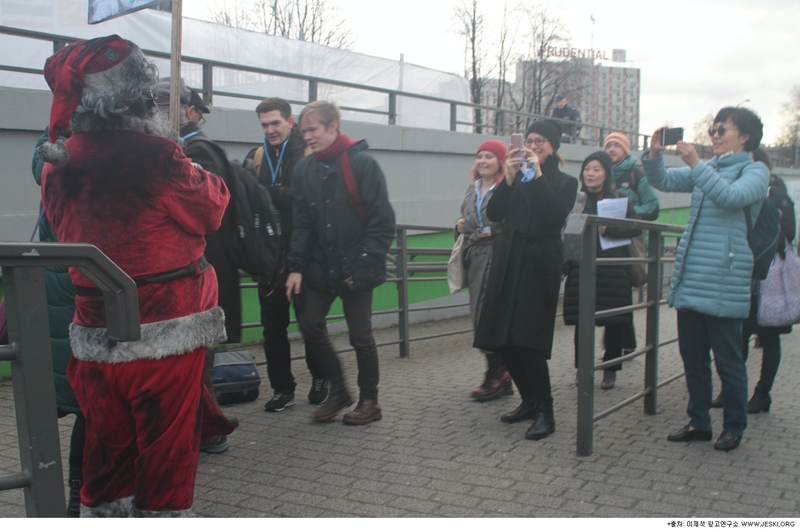 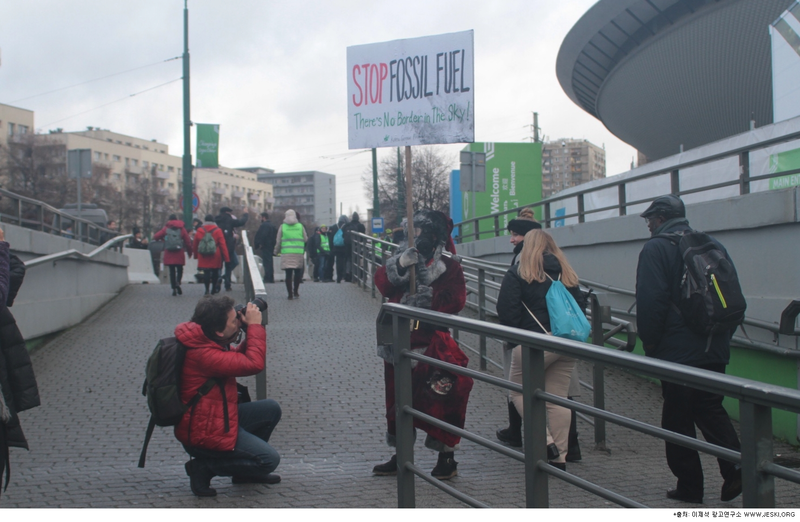 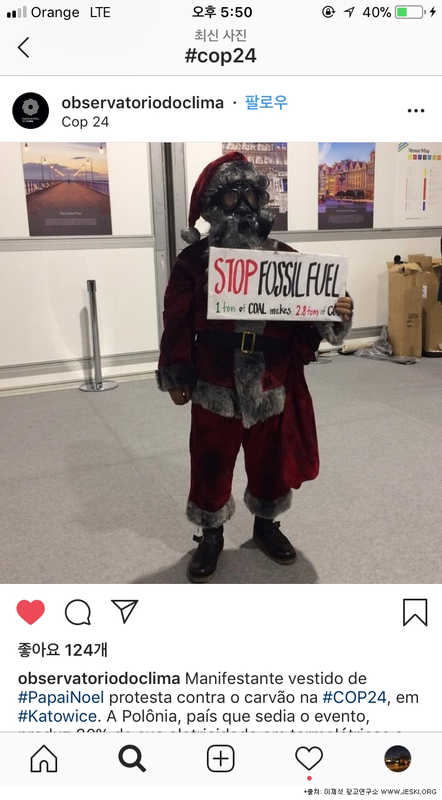 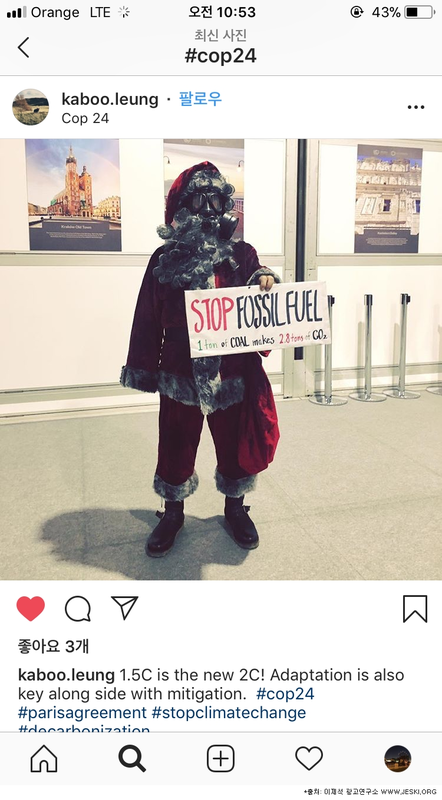 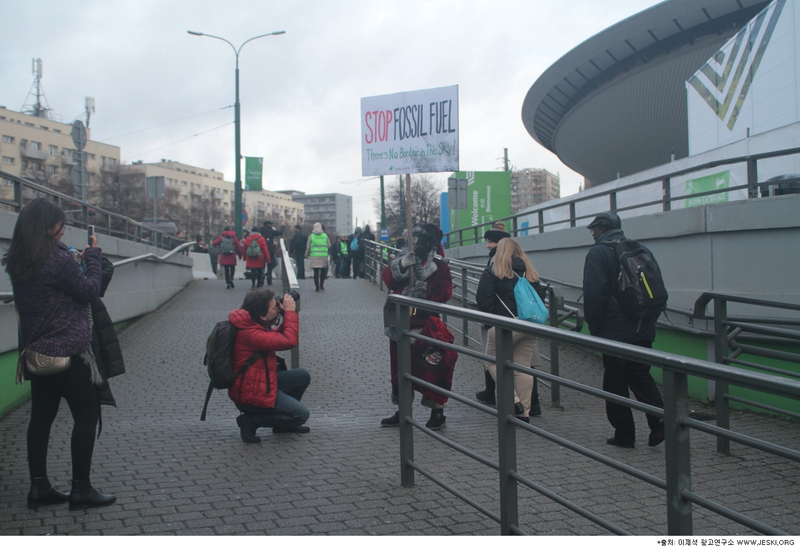 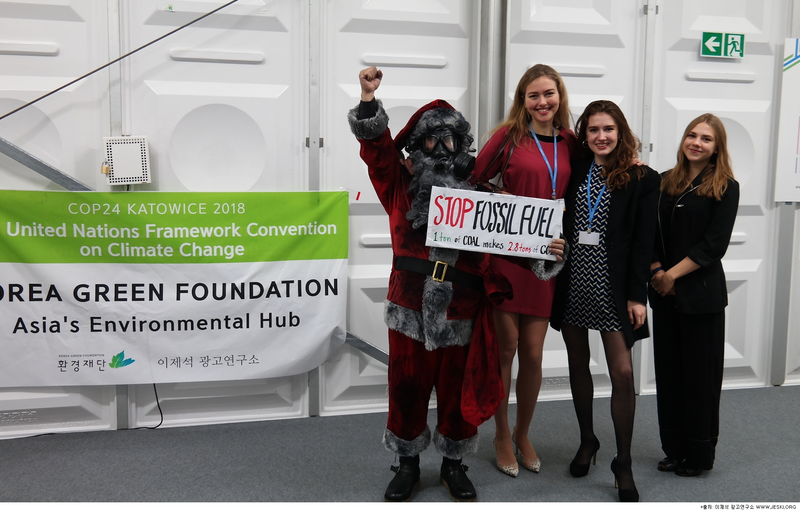 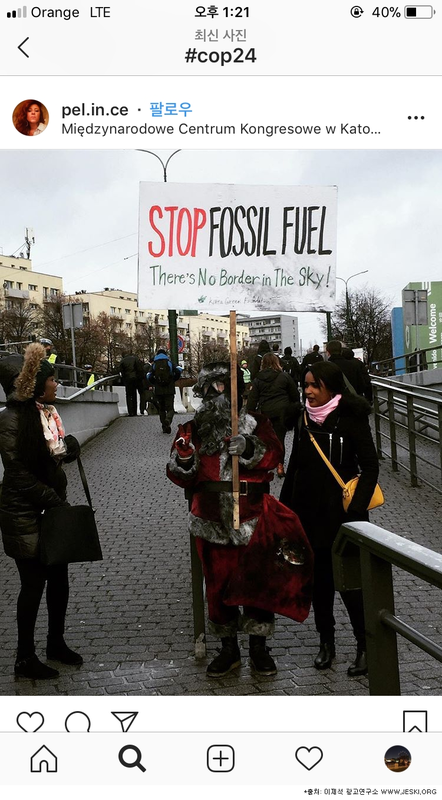 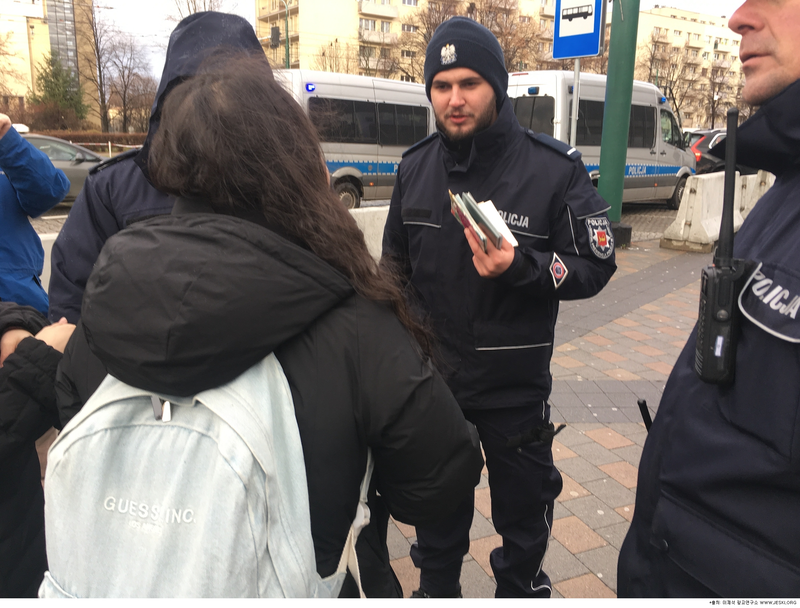 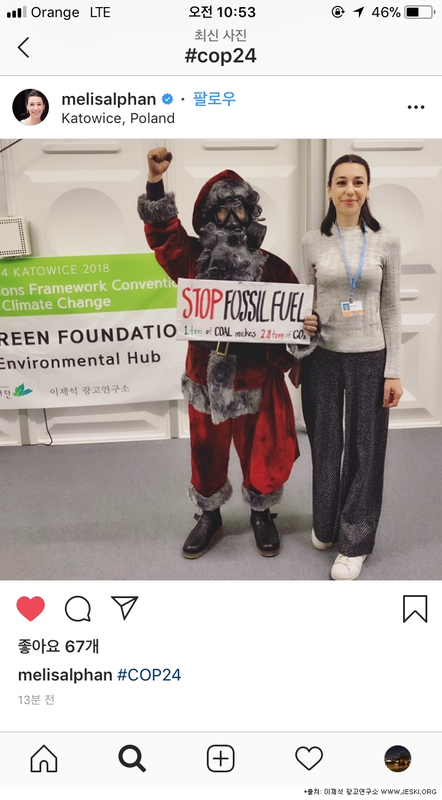 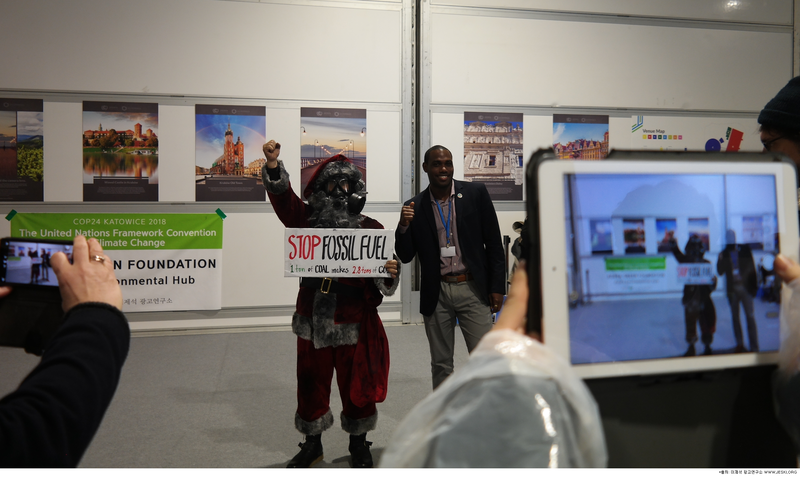 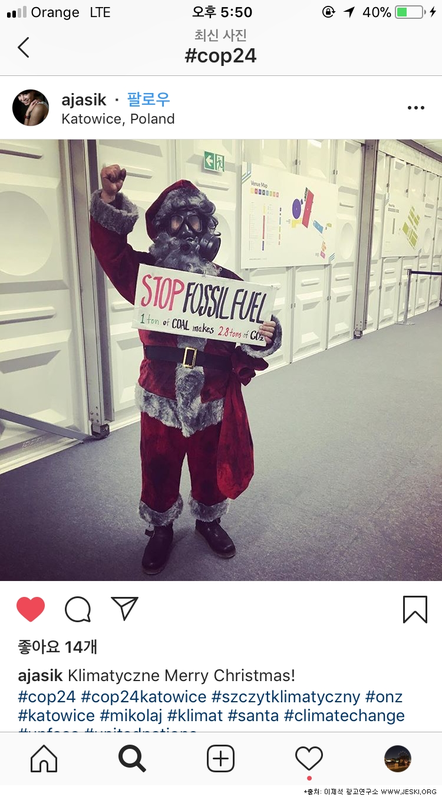 As agreed in the 12th United Nations Climate Change Conference, which was closed recently, the performance delivered the message that we need to stop the use of fossil fuel and increase the share of natural energy sources. 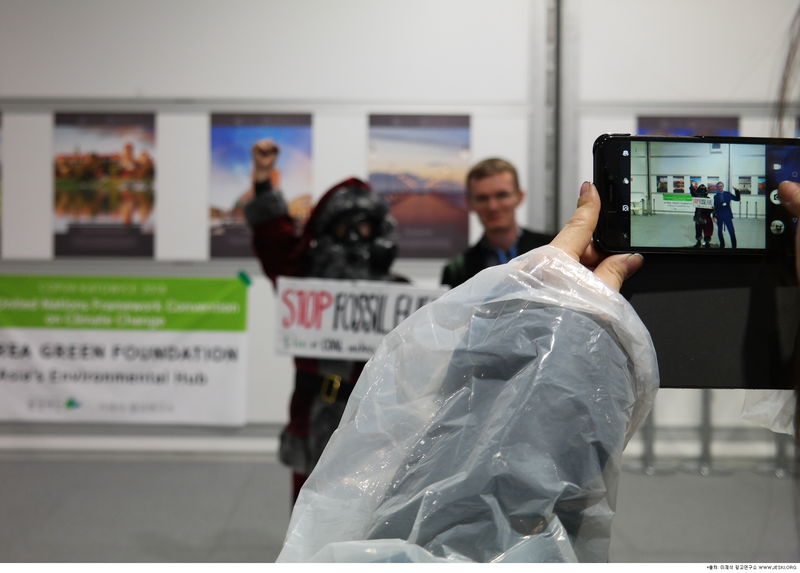 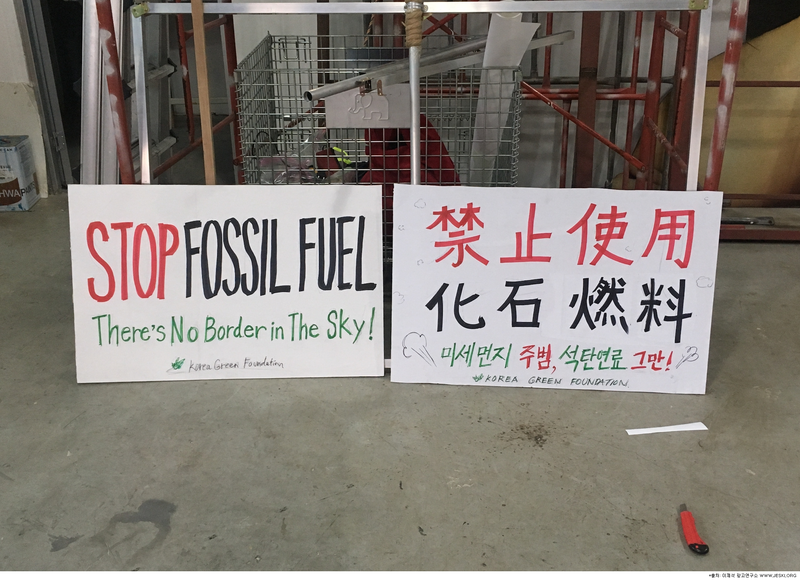 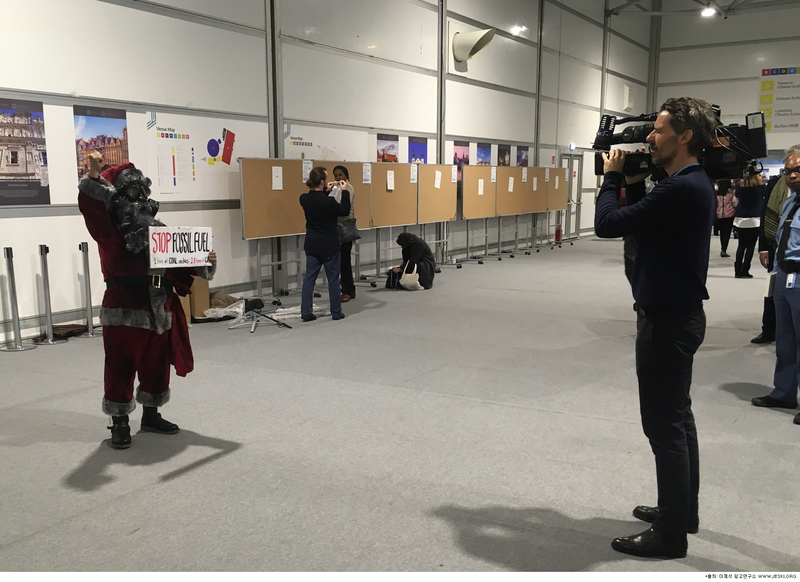 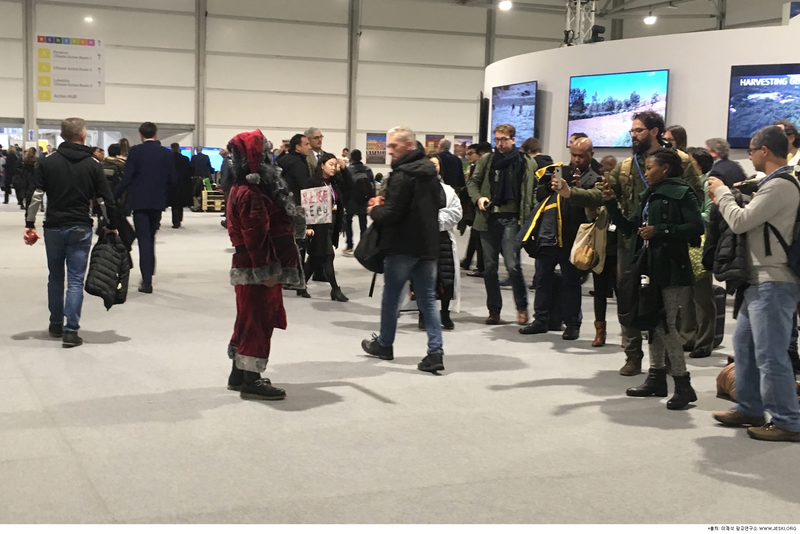 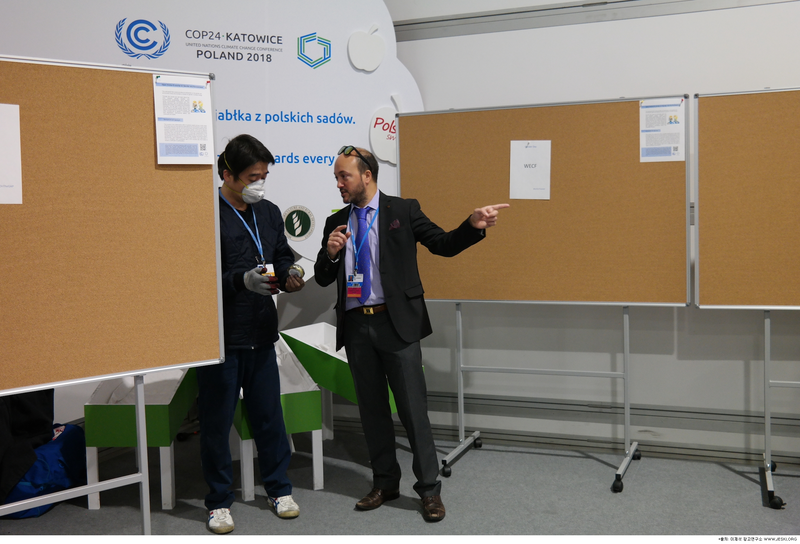 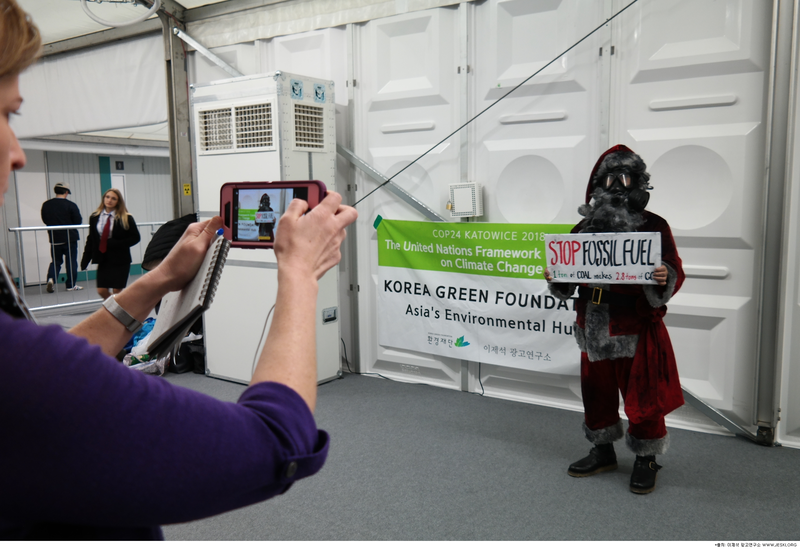 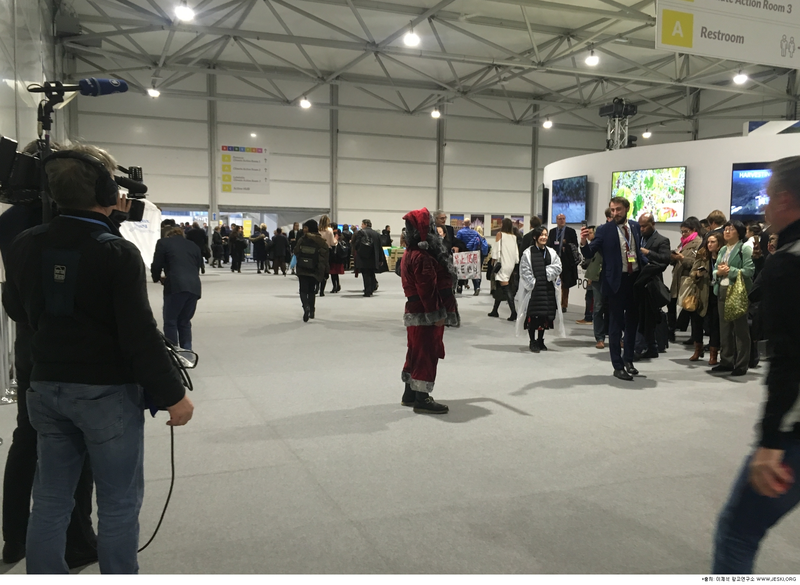 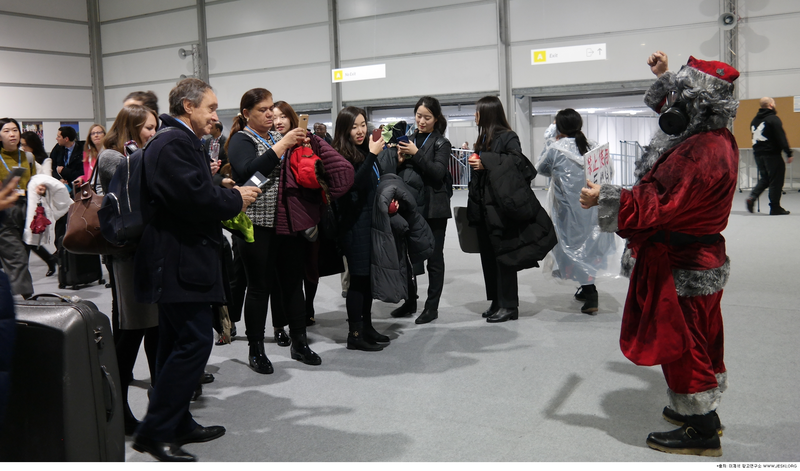 In particular, the performance was planned to make the public known that the participation of China and the US, which are the first and second largest energy consumer in the world, is determining factors in preventing global climate change. 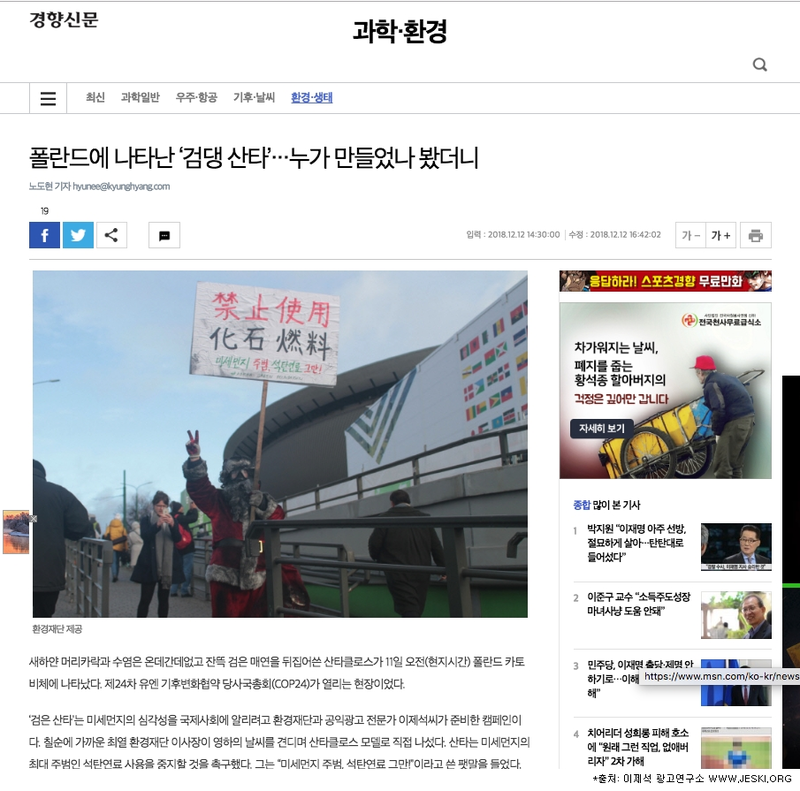 피켓을 든 사진 등의 캠페인성 장면들은 중국 공안에 의해 압수 및 삭제되어져서 업로드 하지 못함. 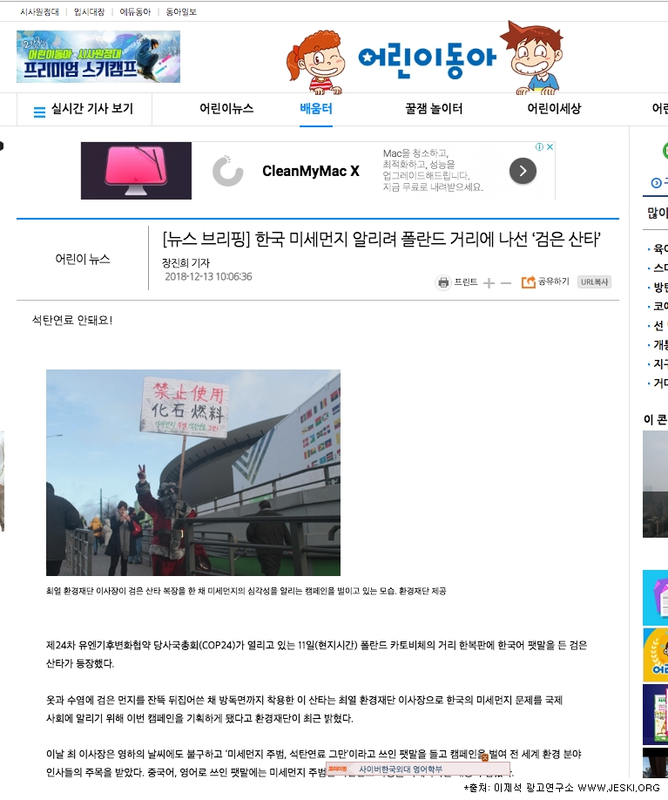 현장에서 약 2시간 가량 취조를 당하는 에피소드가 있었음.